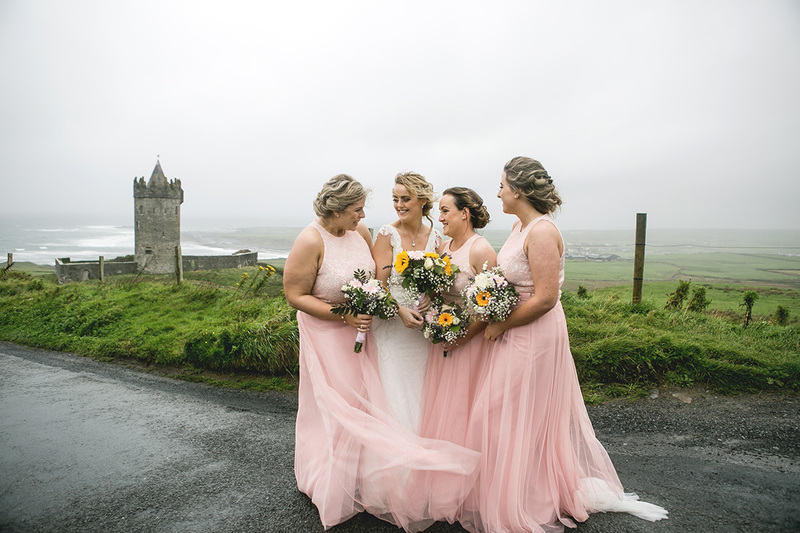 I first got to meet with Geraldine a few months before her wedding day while she was on a trip home to Westport in Mayo from Australia to visit family and friends and while home she squeezed in a weekend in Doolin with her sister Noreen to tick off a few wedding jobs before heading back to Oz. 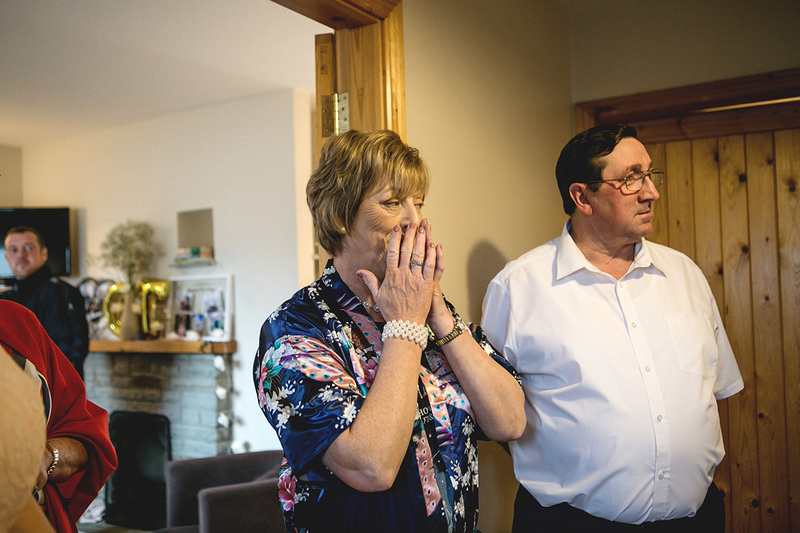 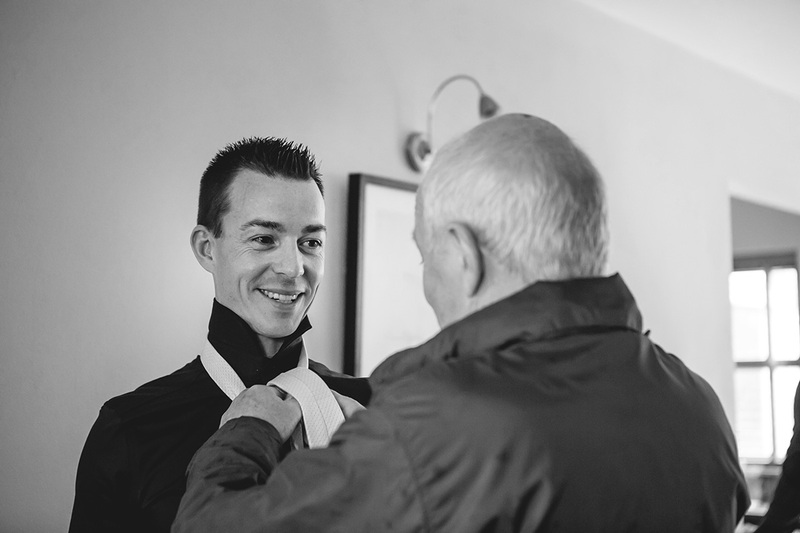 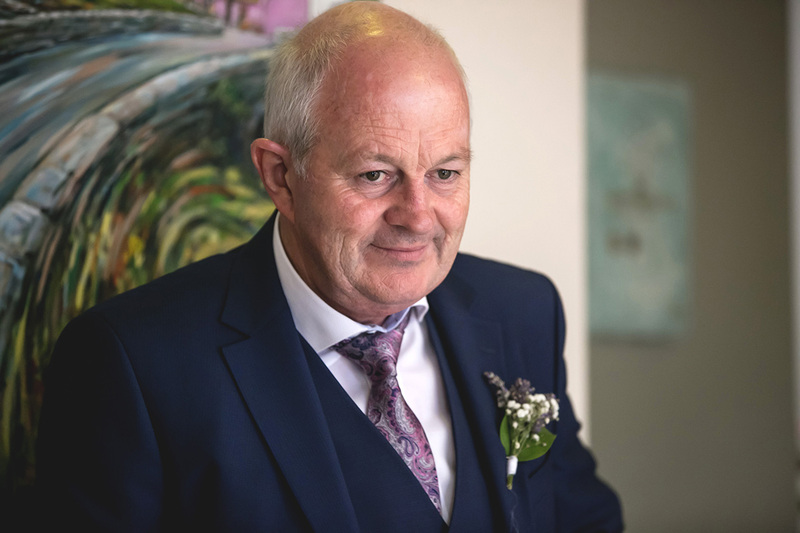 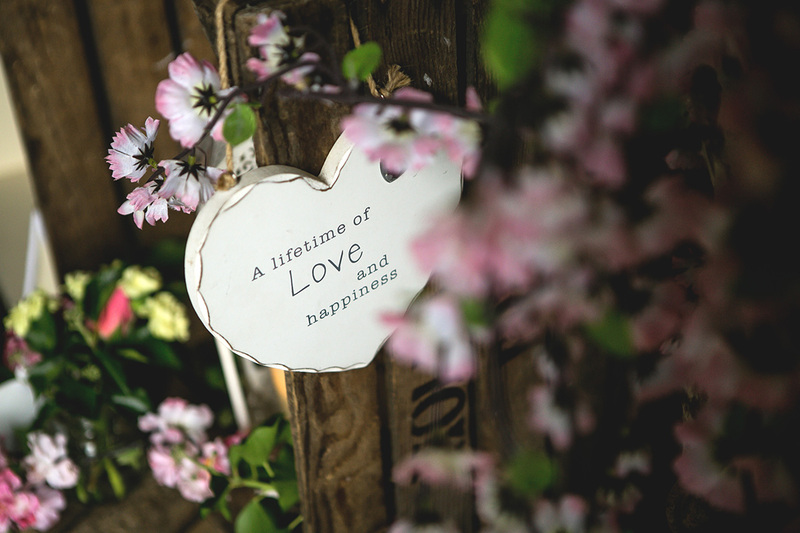 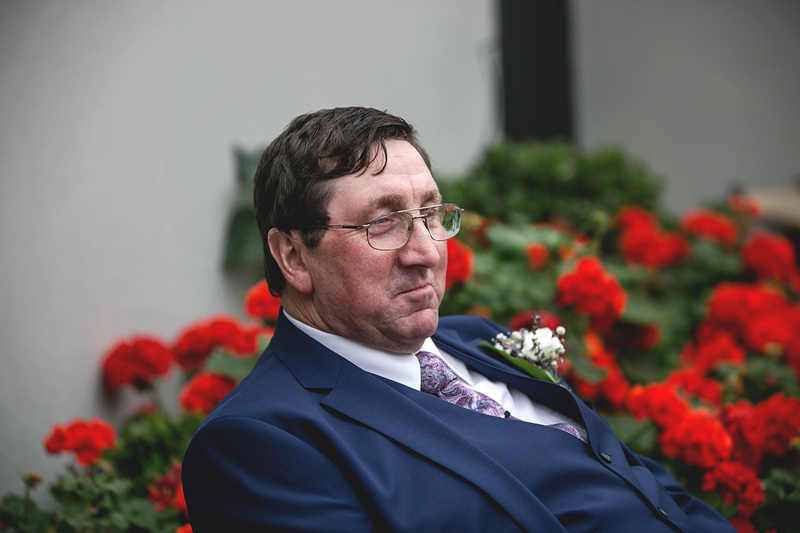 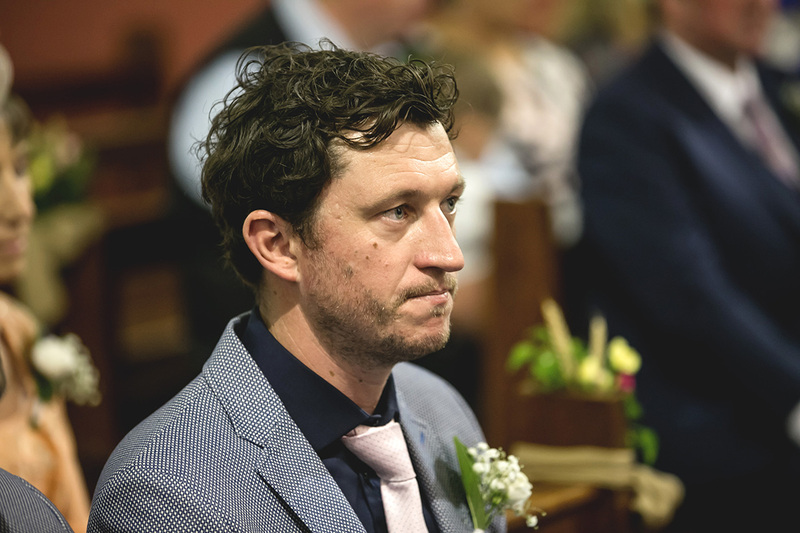 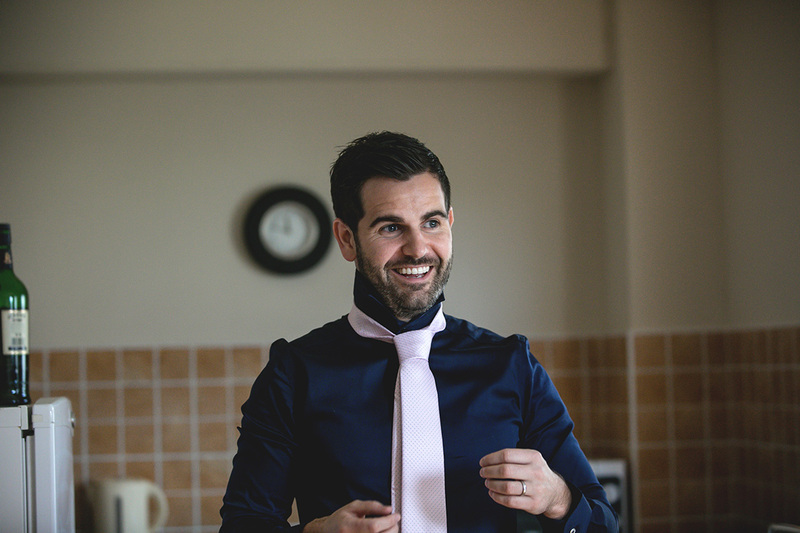 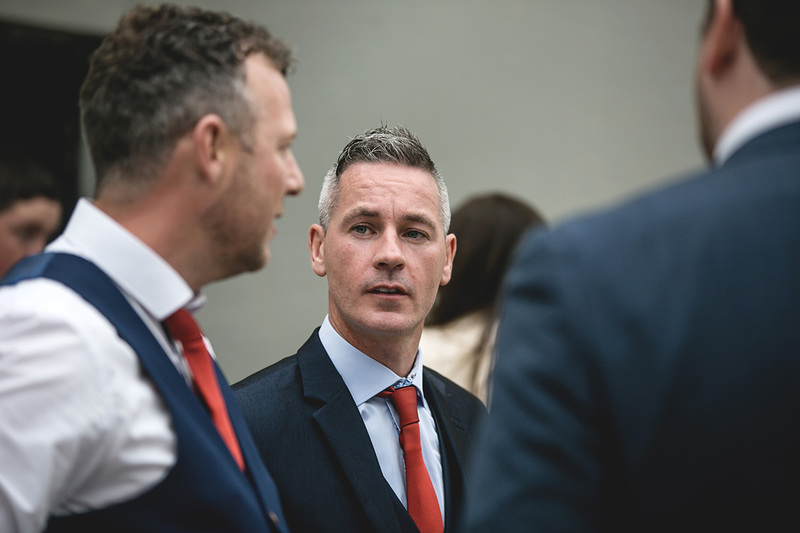 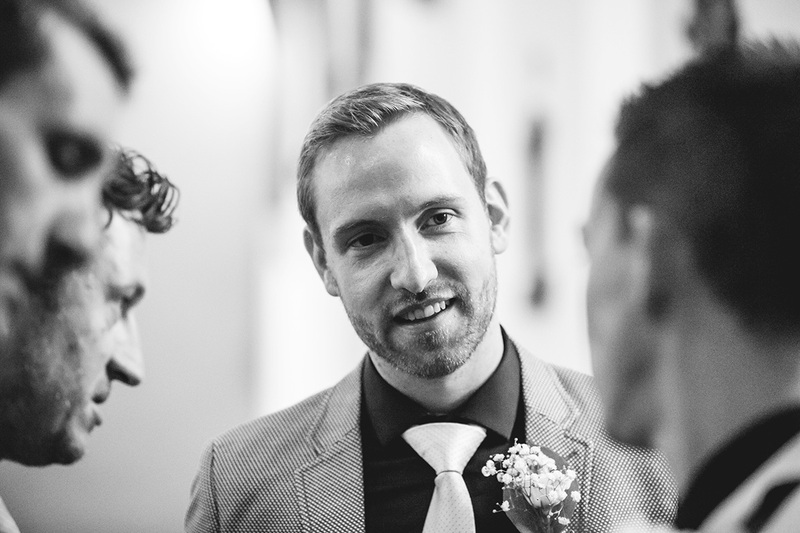 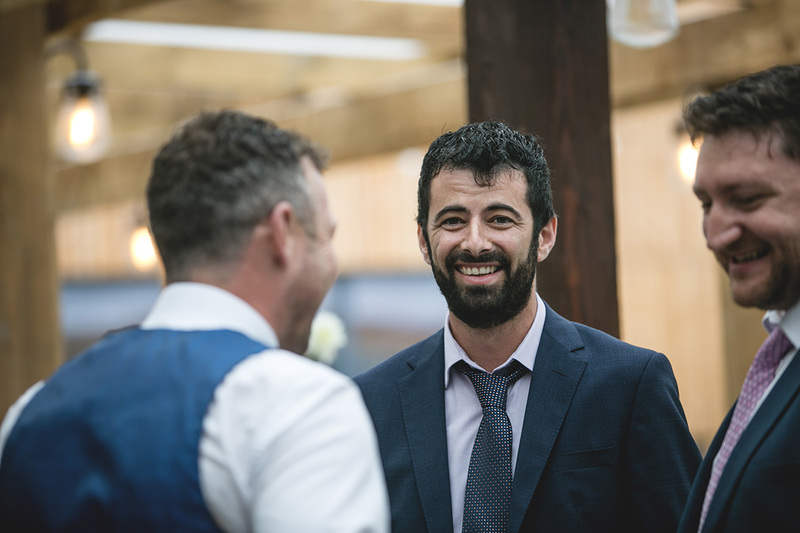 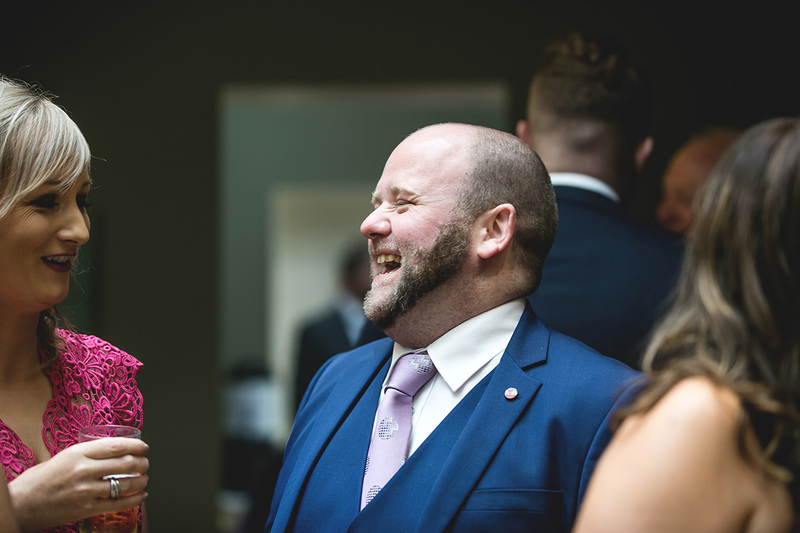 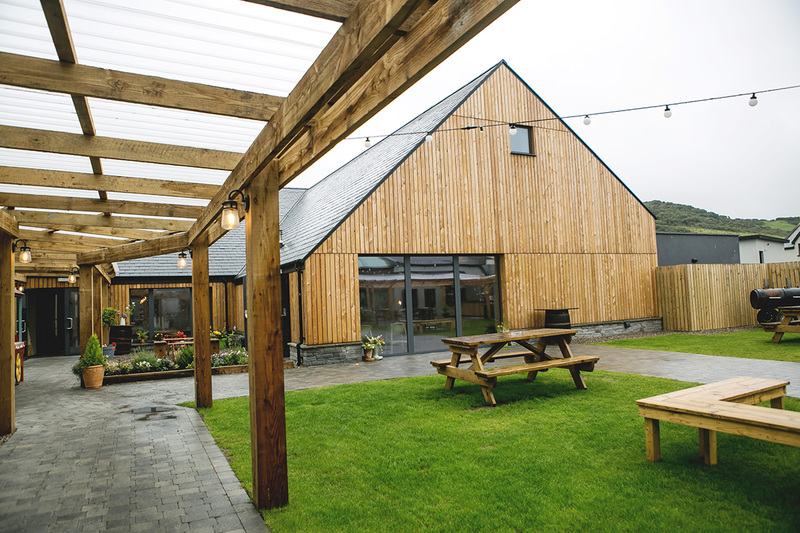 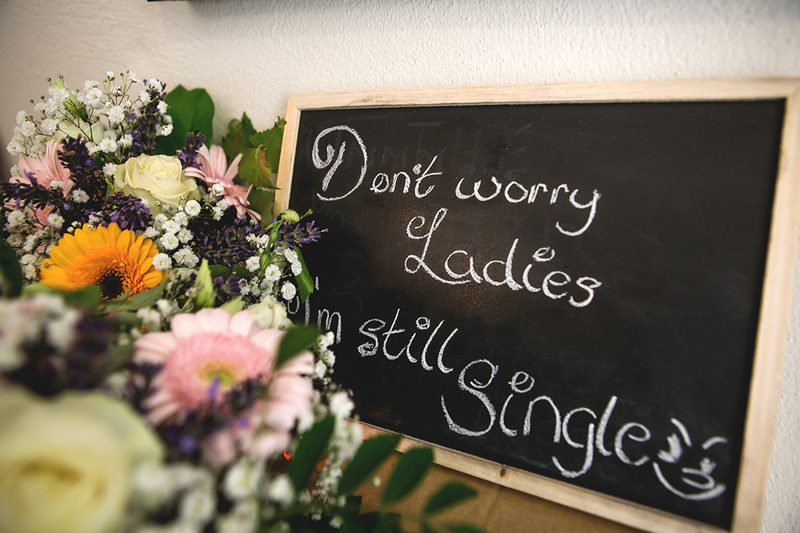 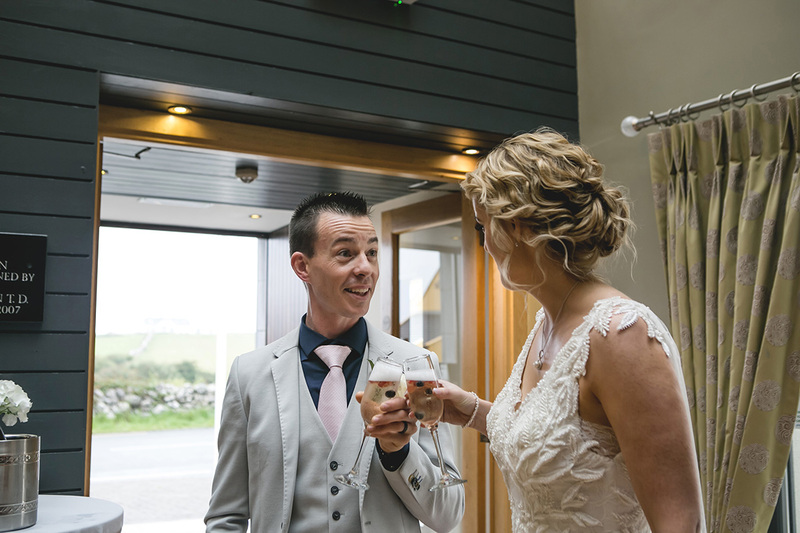 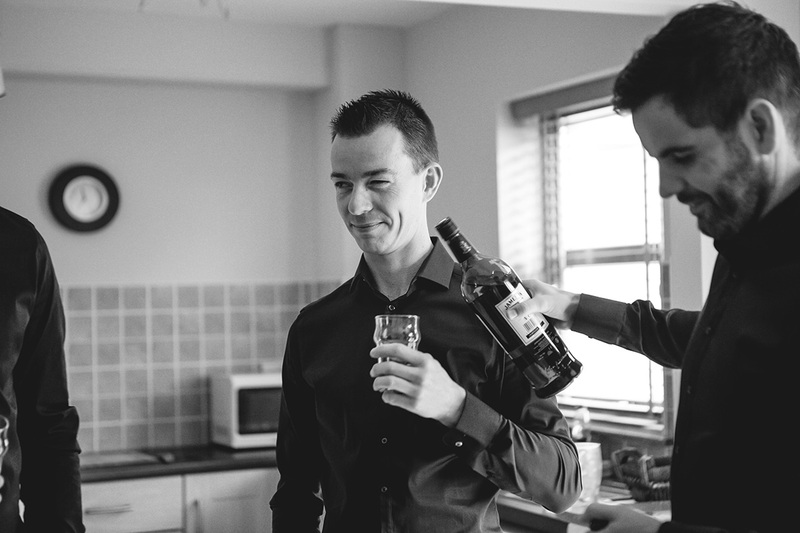 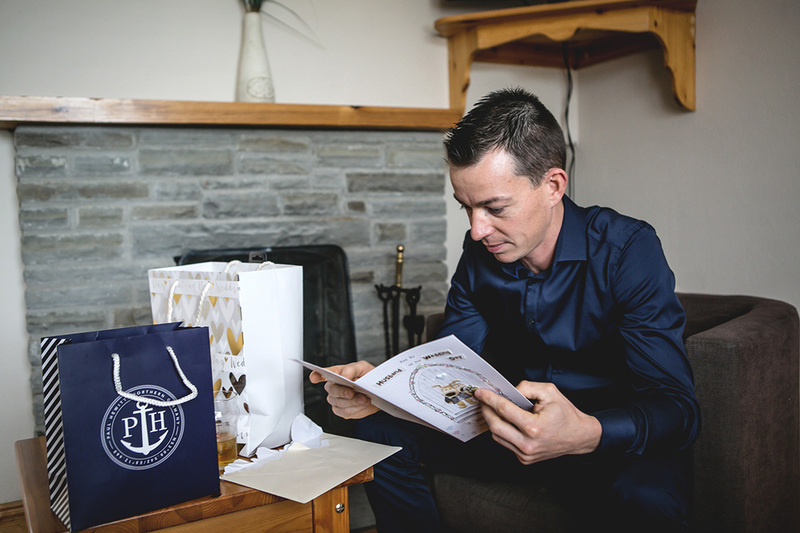 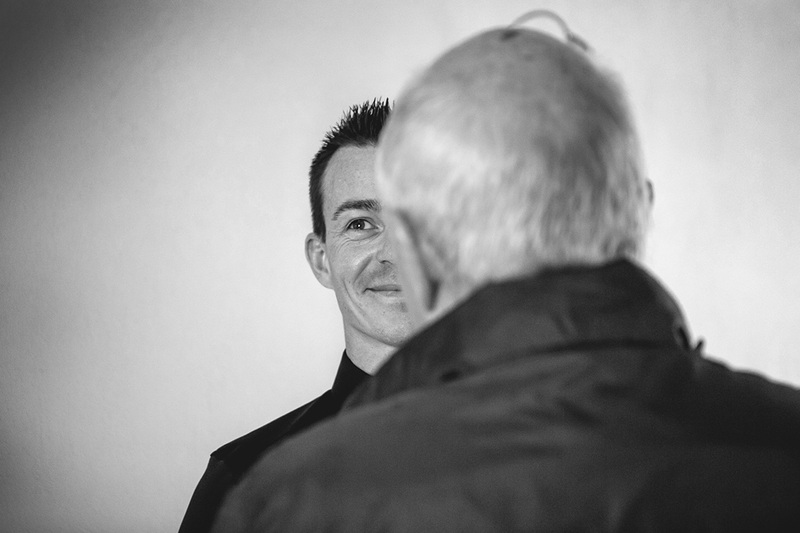 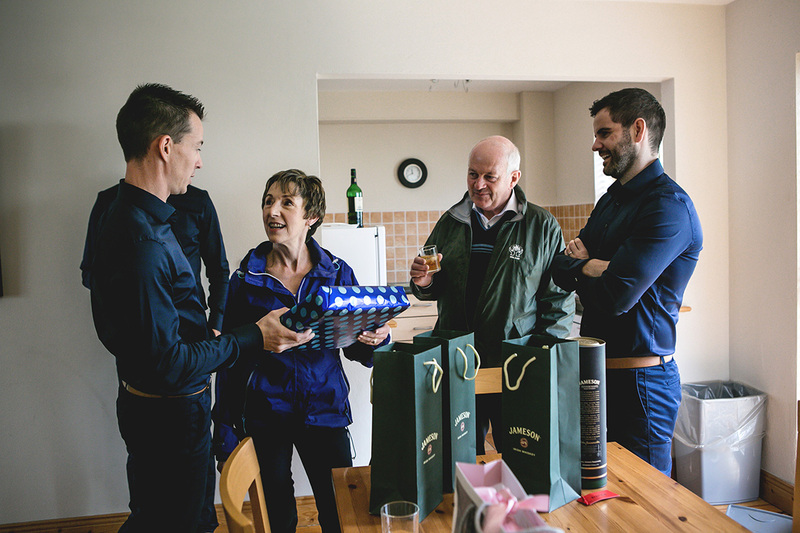 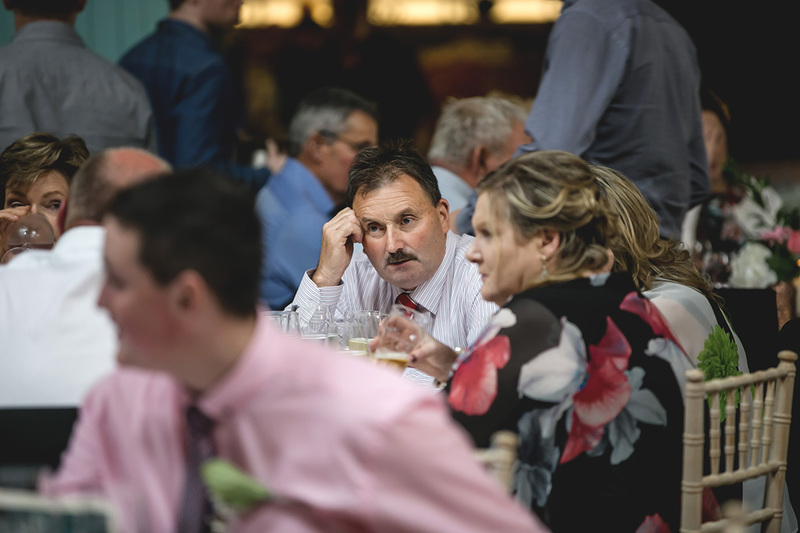 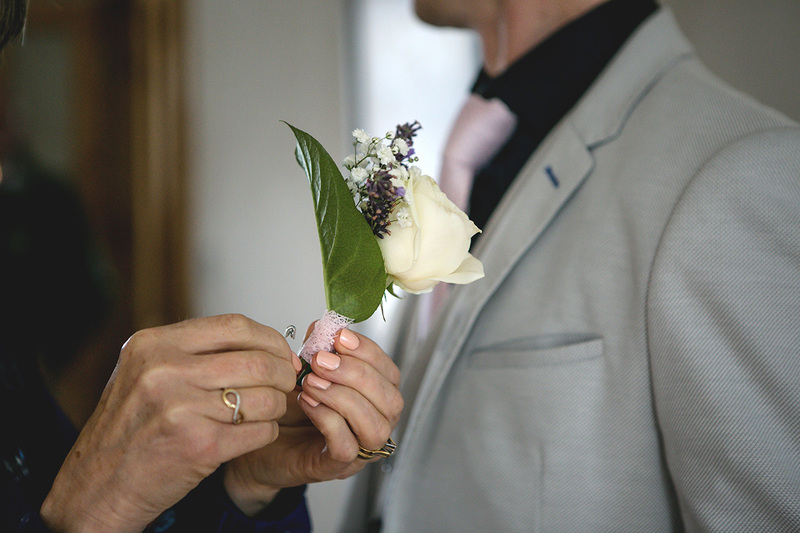 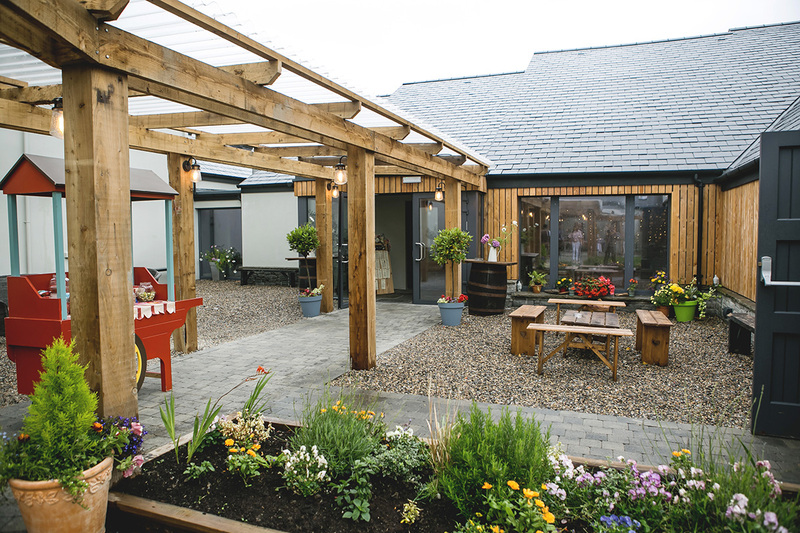 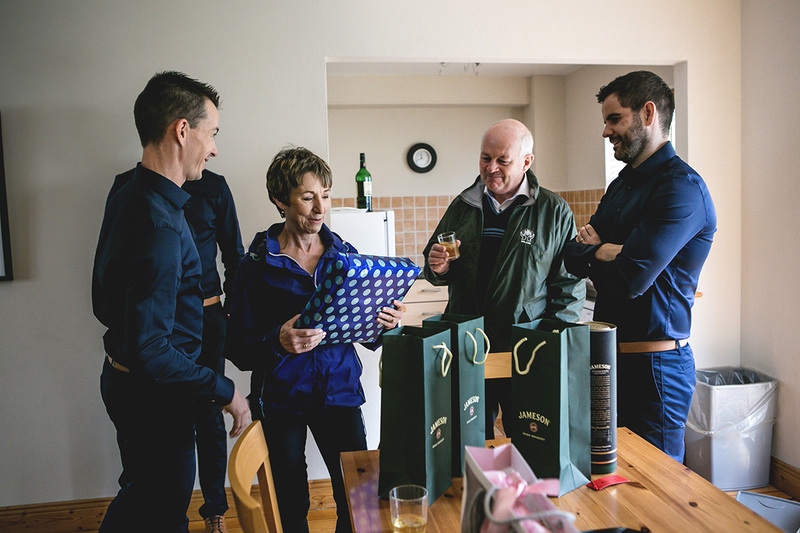 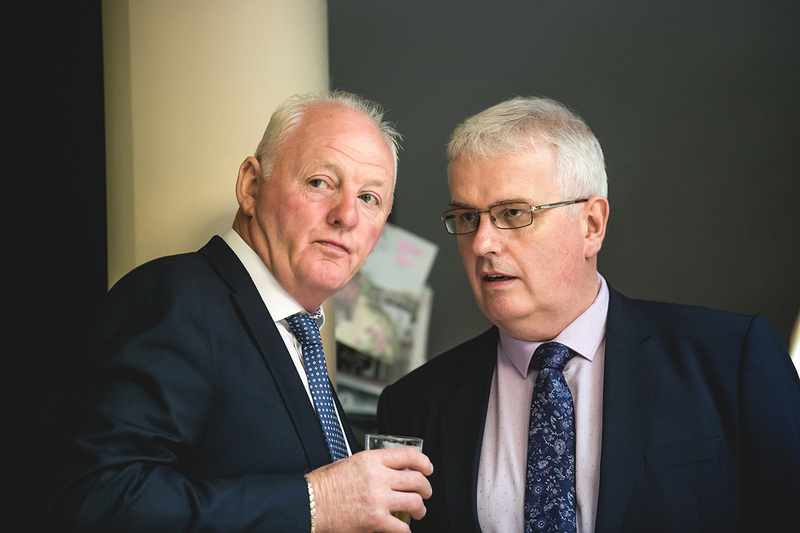 I didn’t get to meet Brian, also known as Tieto, until the morning of the big day where both bride and groom preparations were taking place in houses adjacent to Hotel Doolin and I wouldn’t be surprised if the sound of laughter was heard as far away as the barn itself. 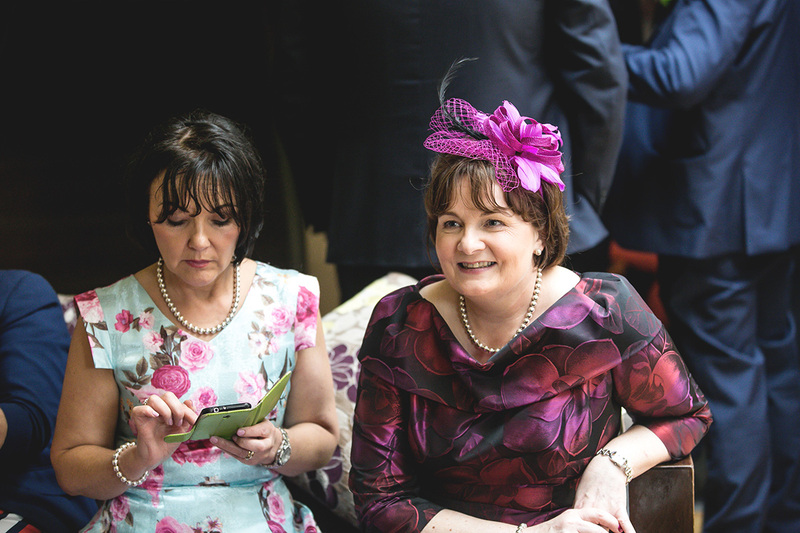 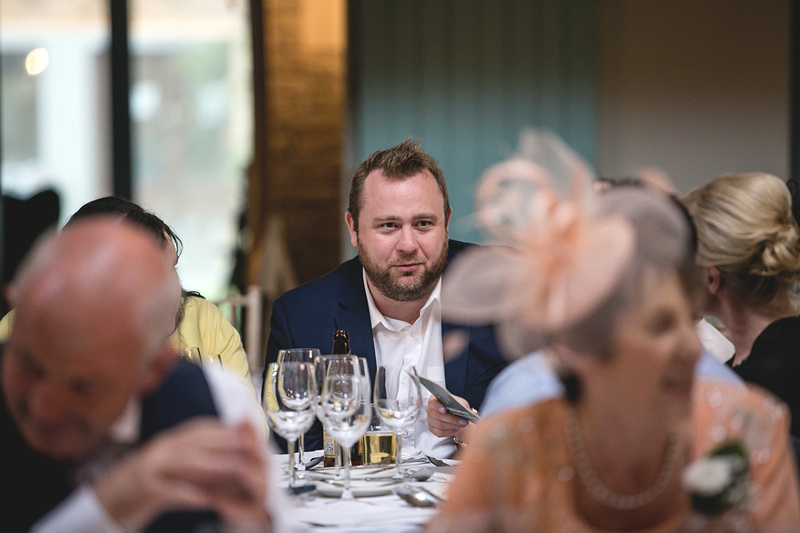 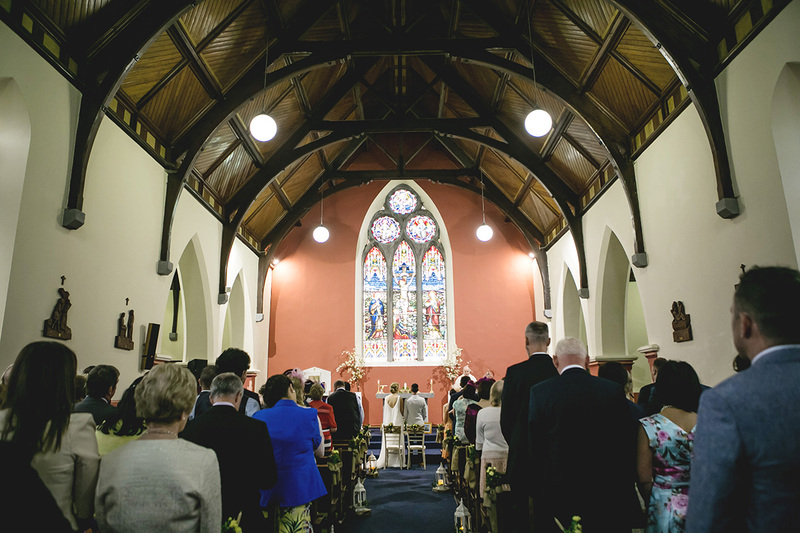 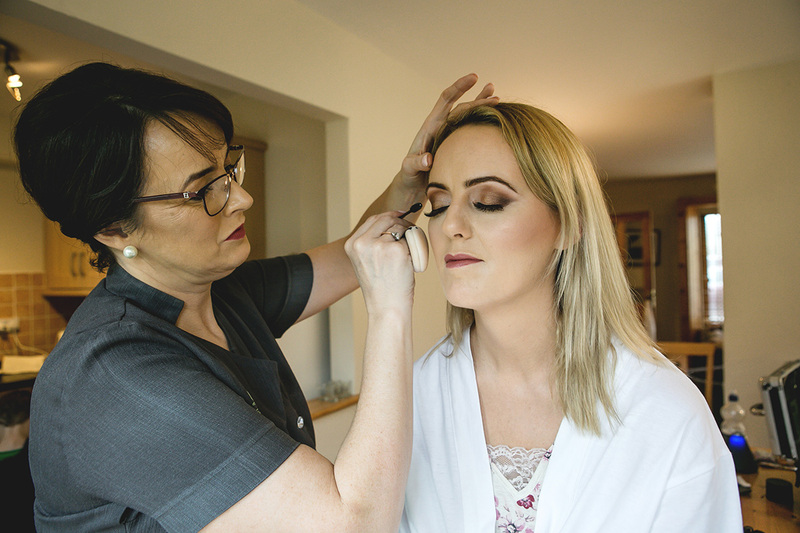 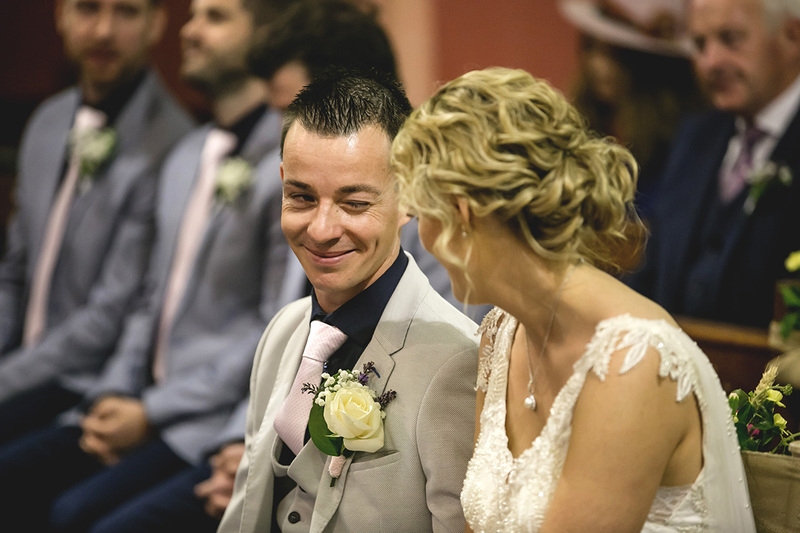 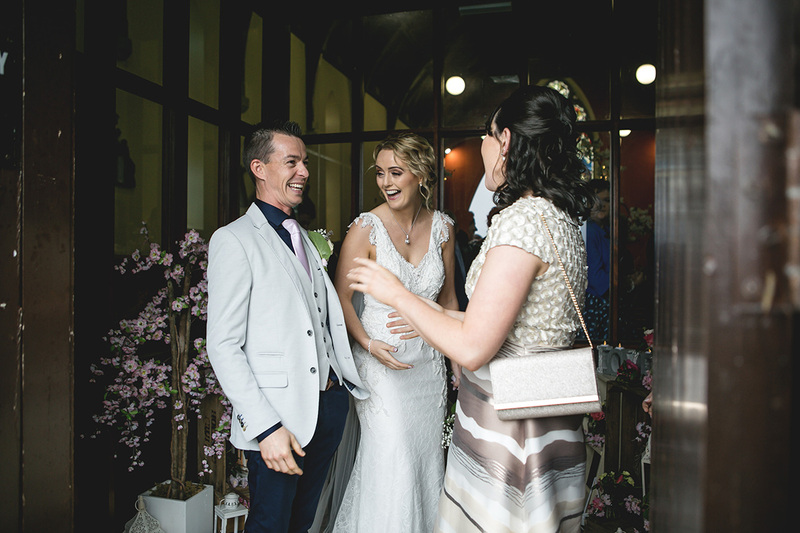 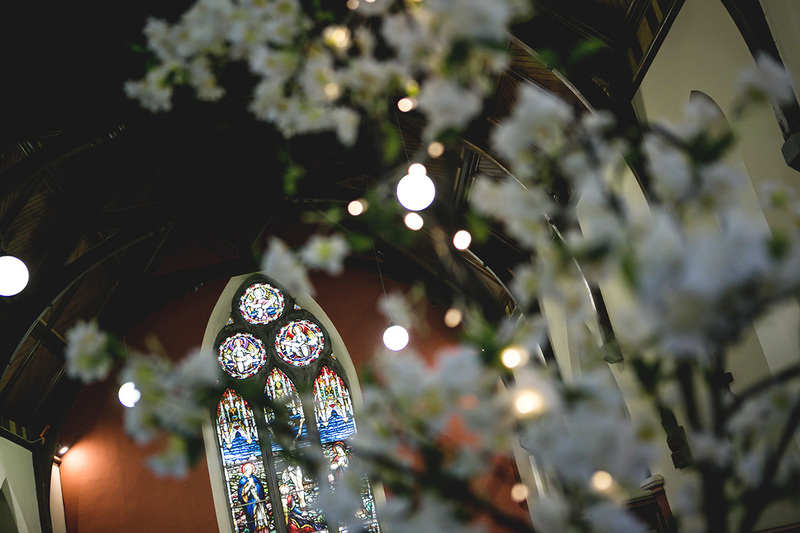 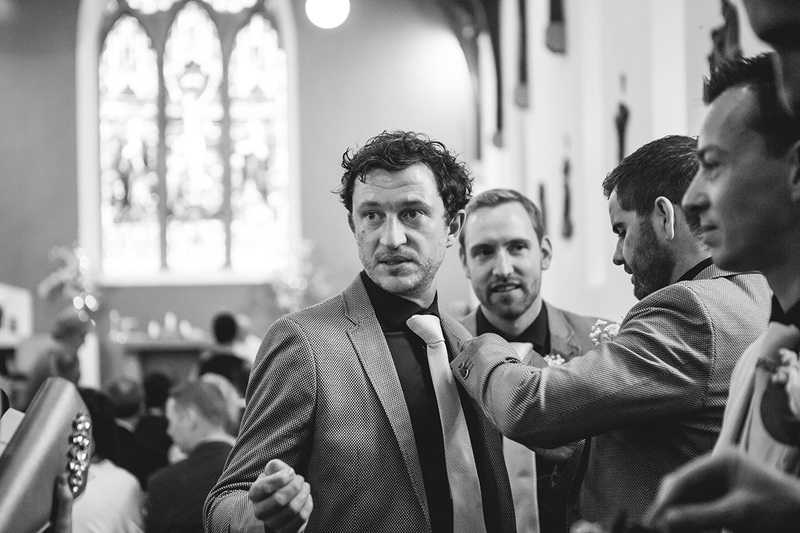 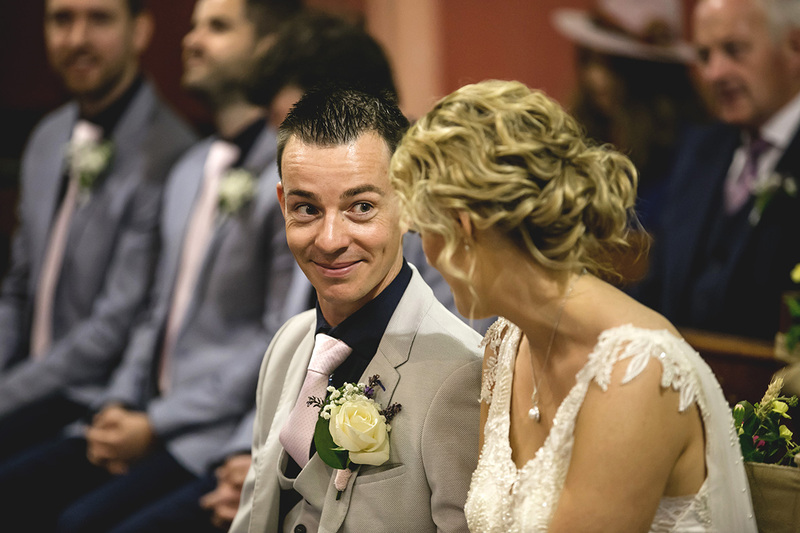 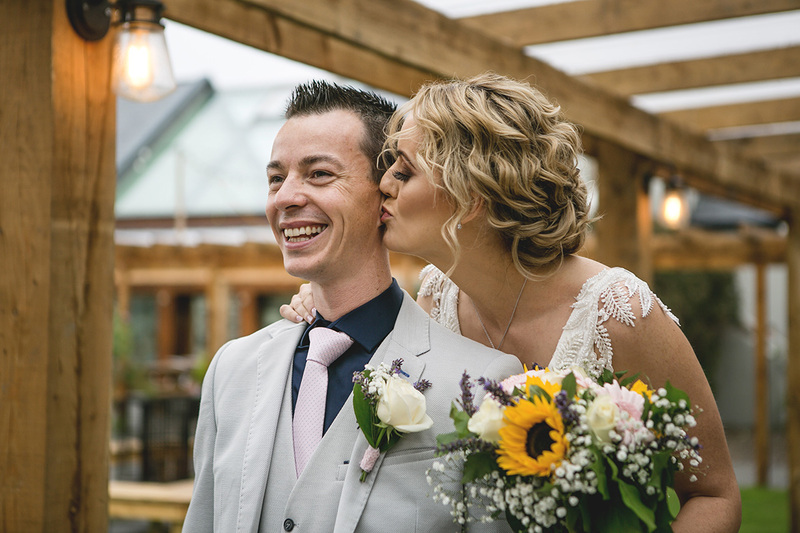 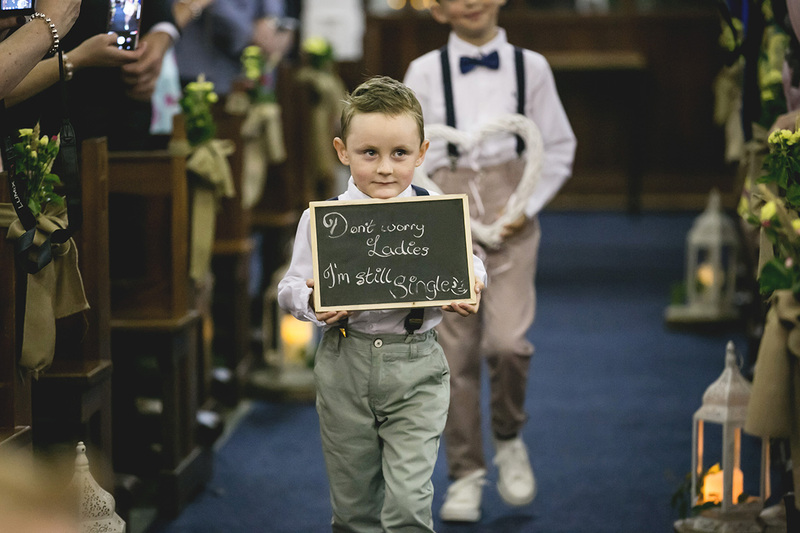 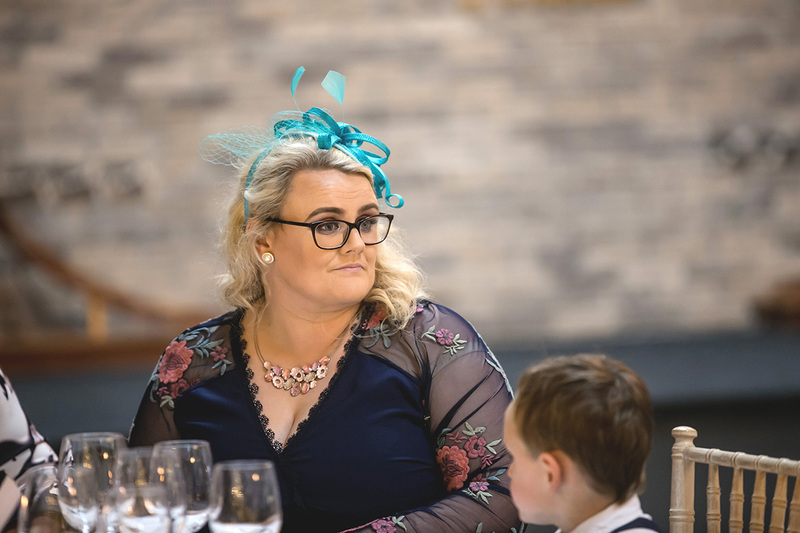 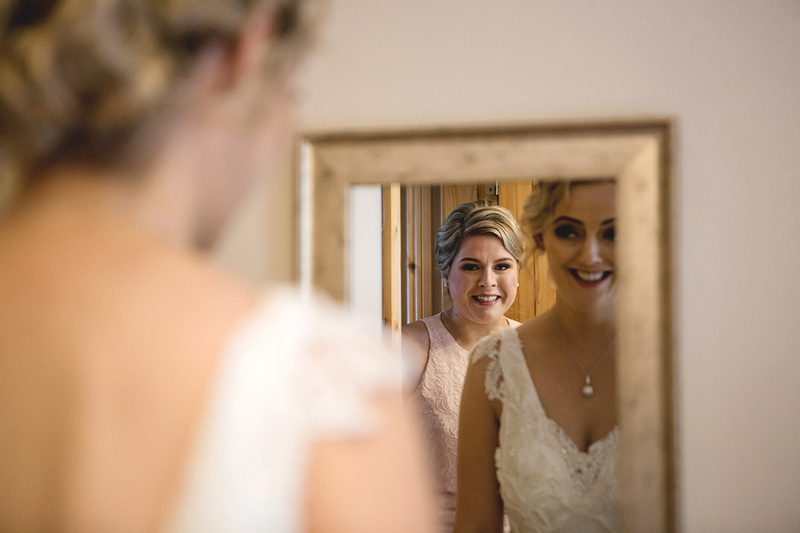 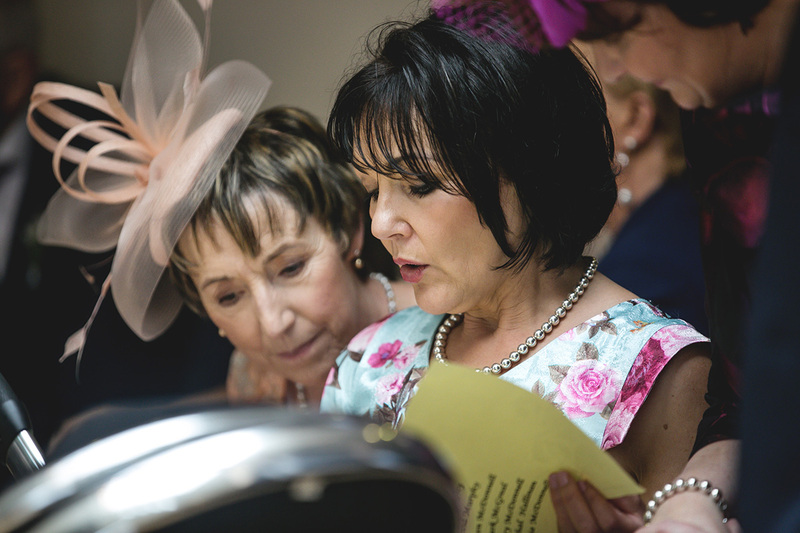 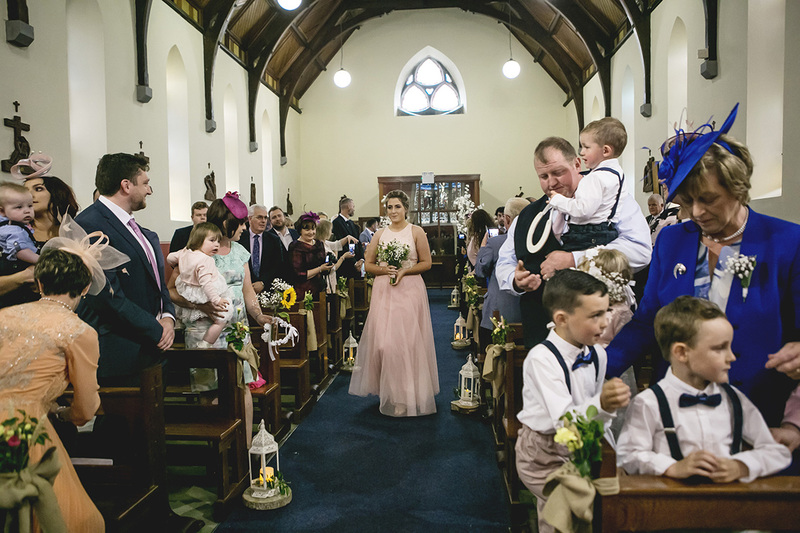 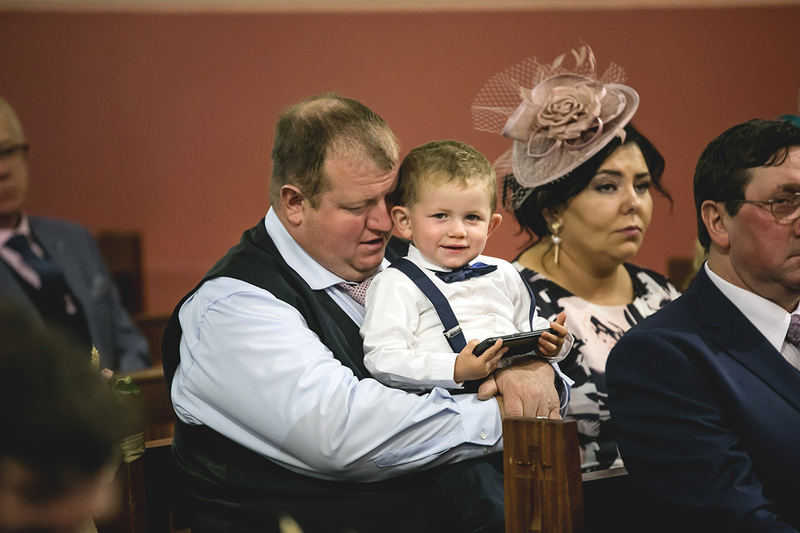 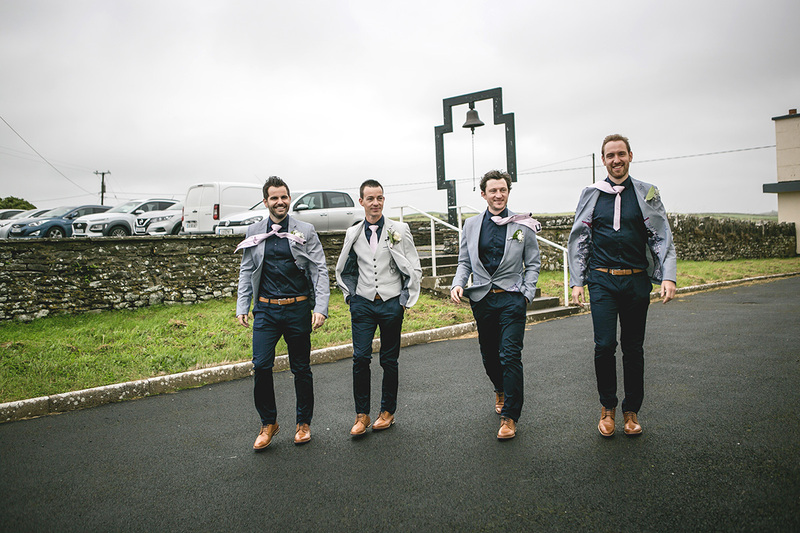 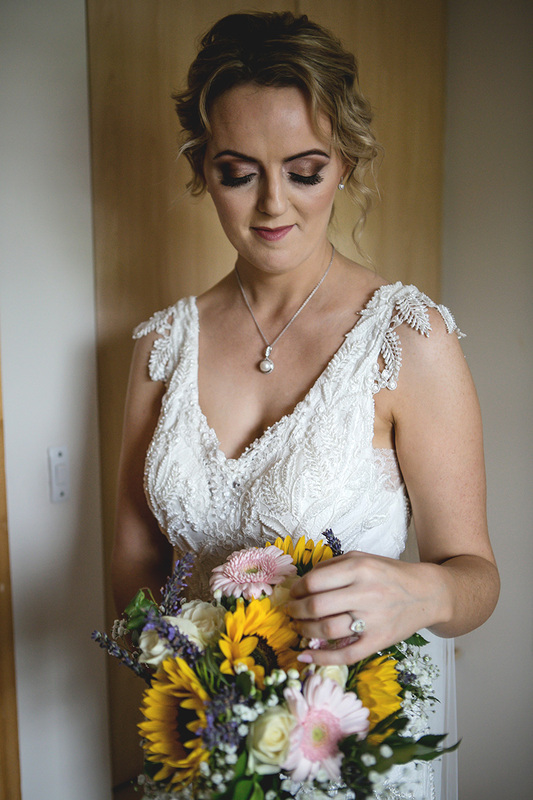 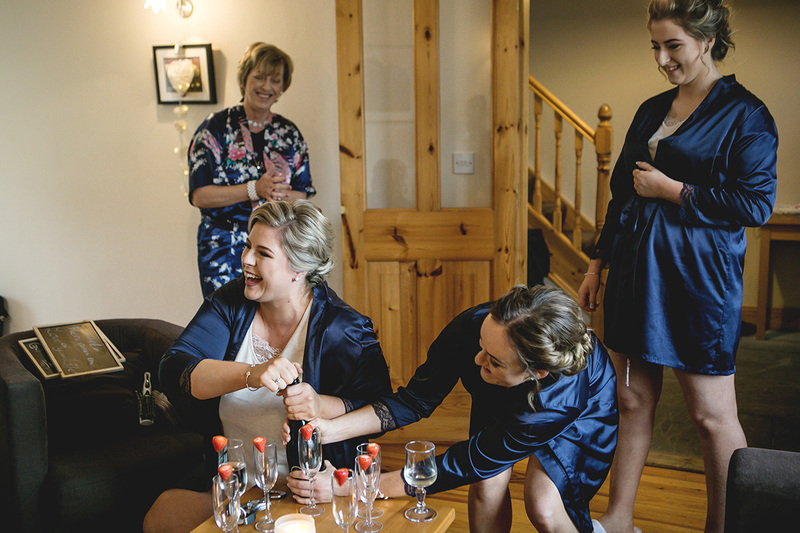 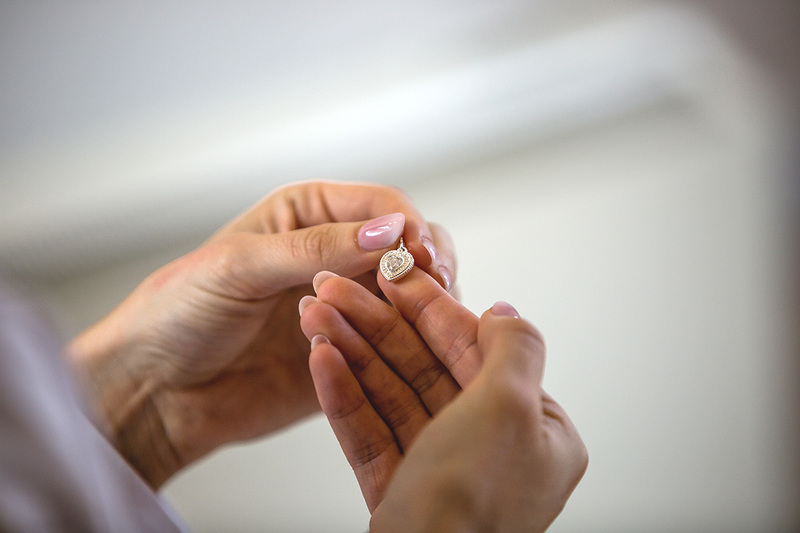 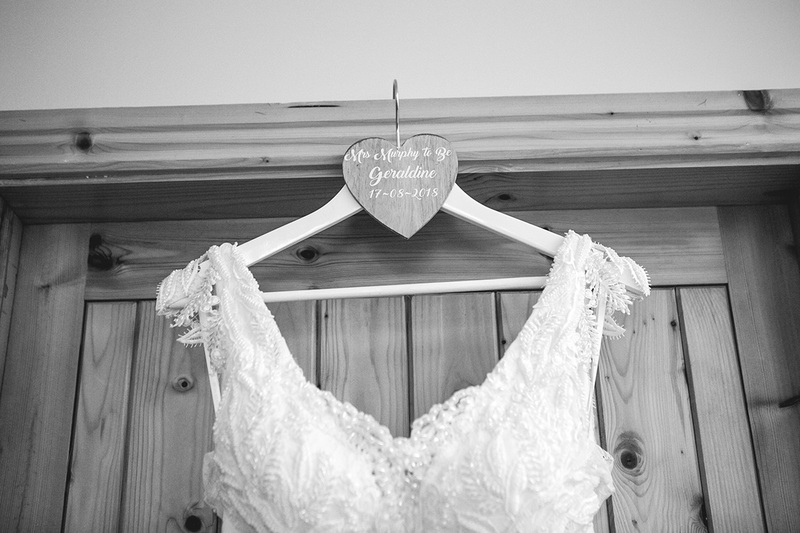 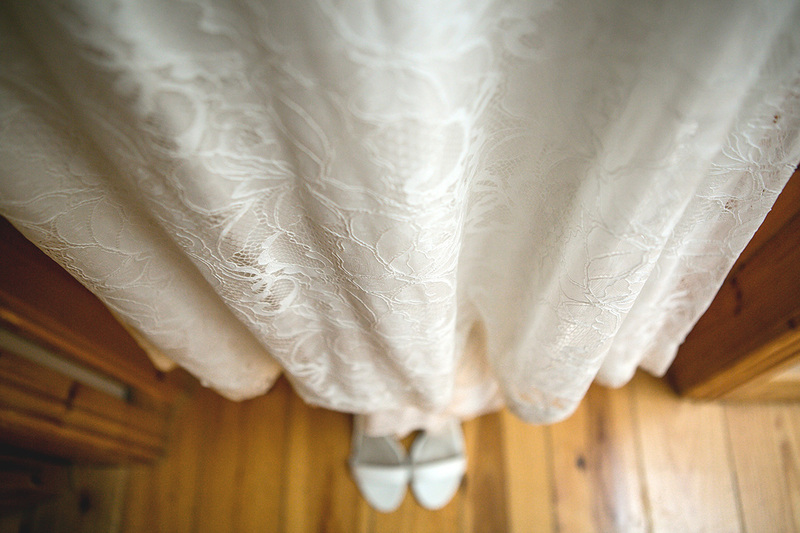 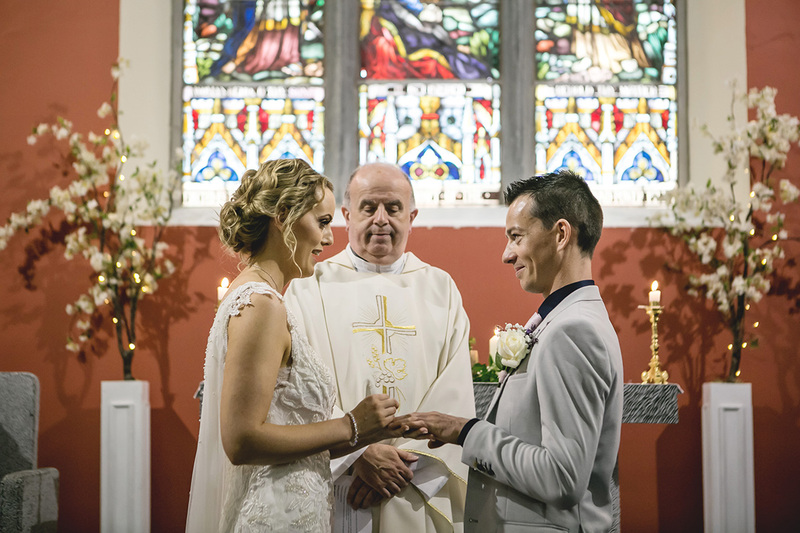 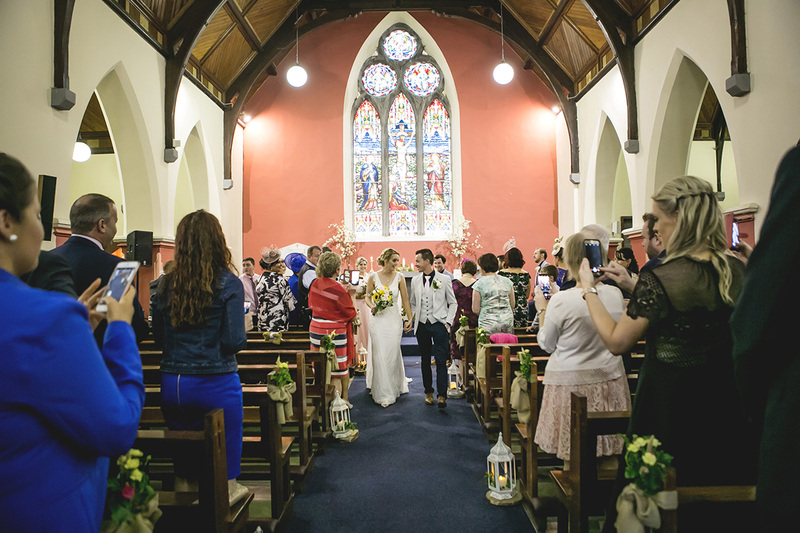 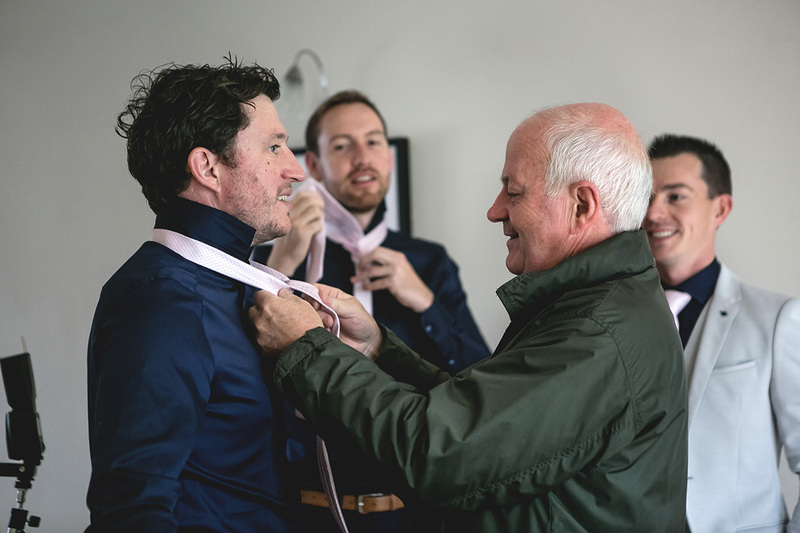 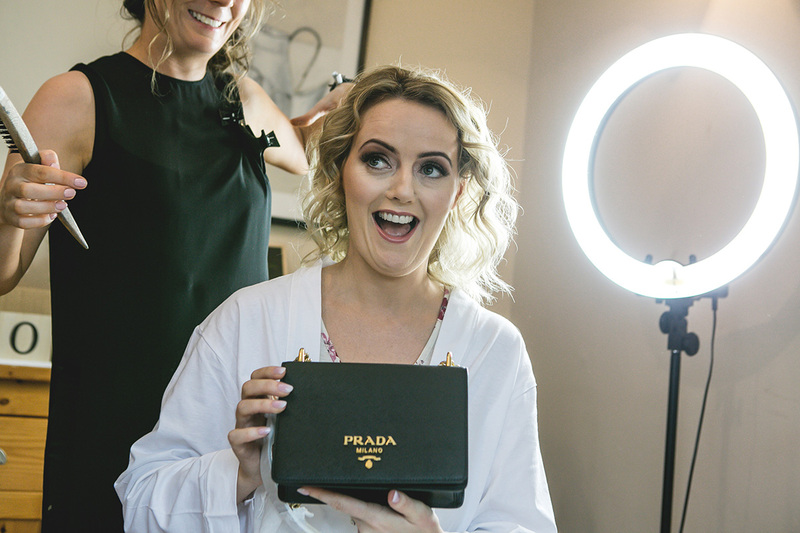 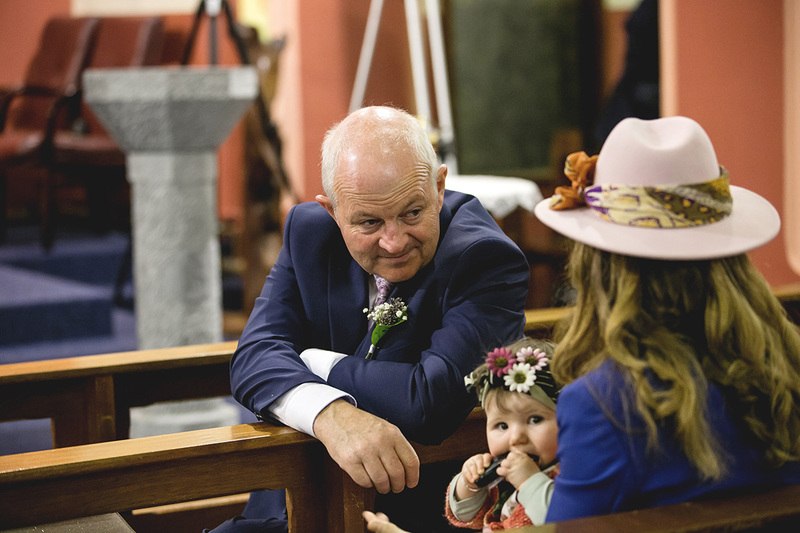 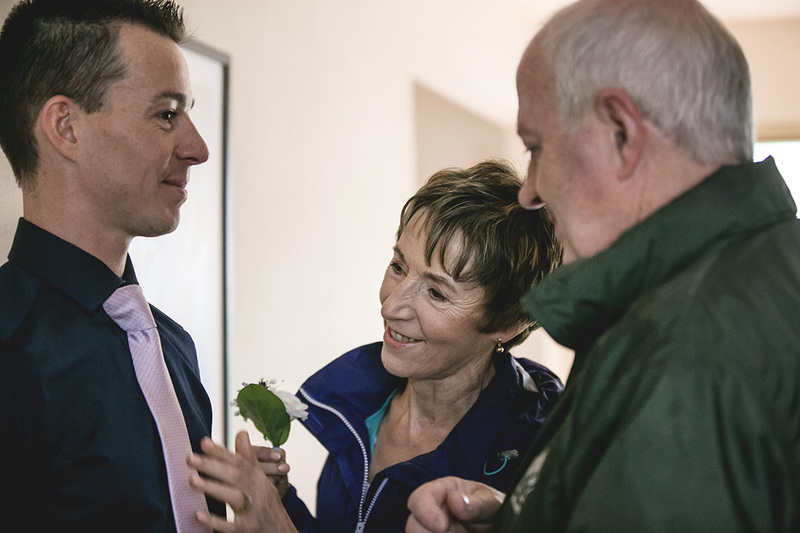 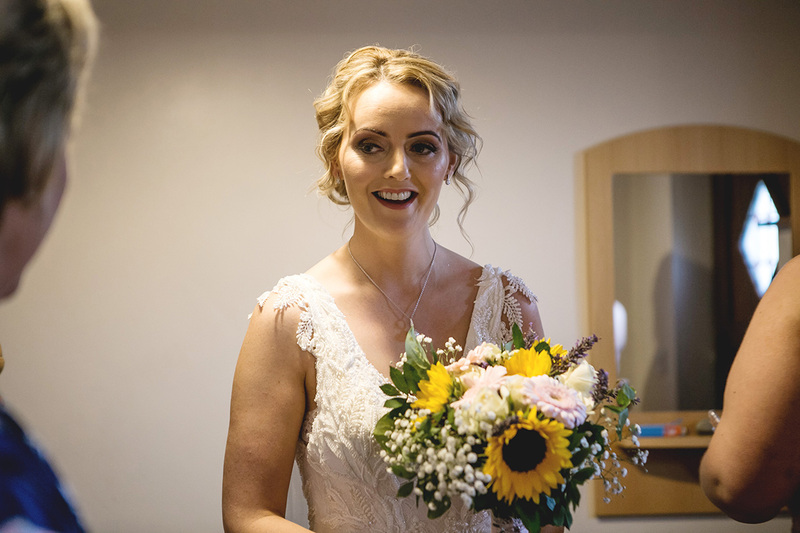 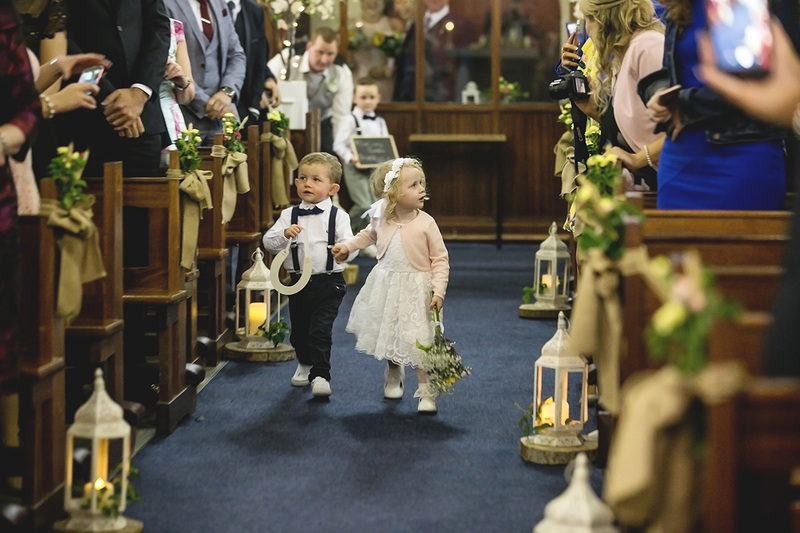 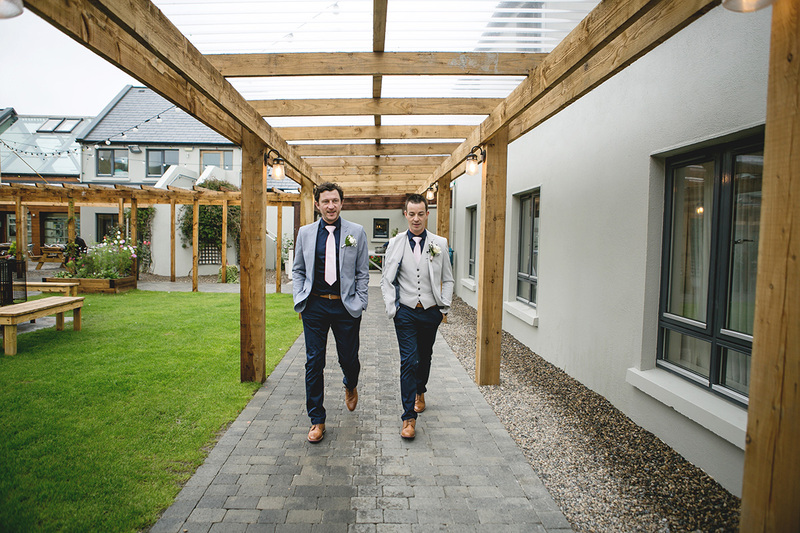 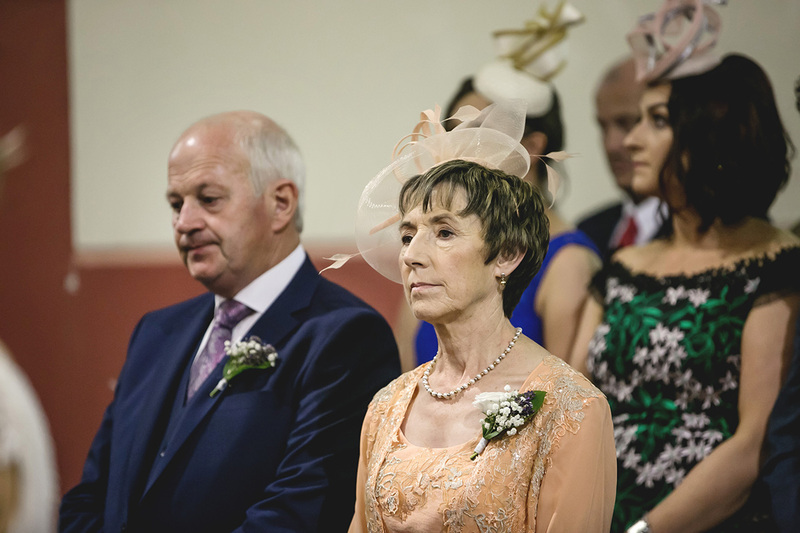 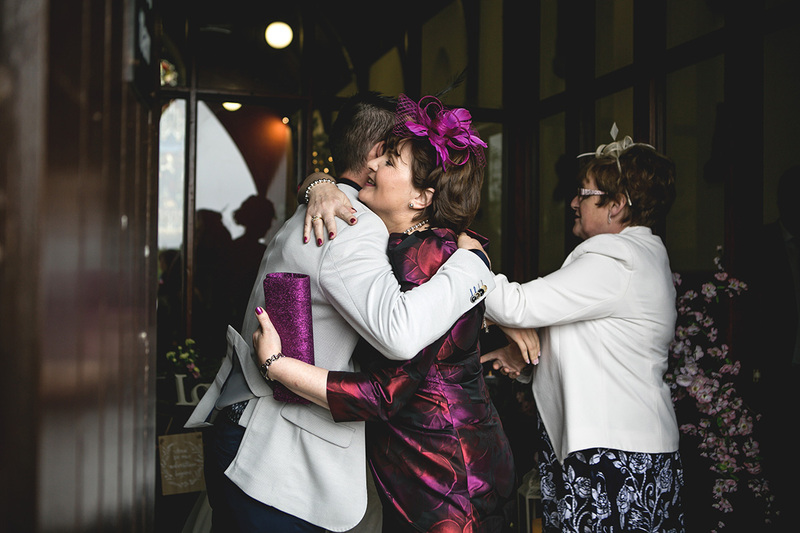 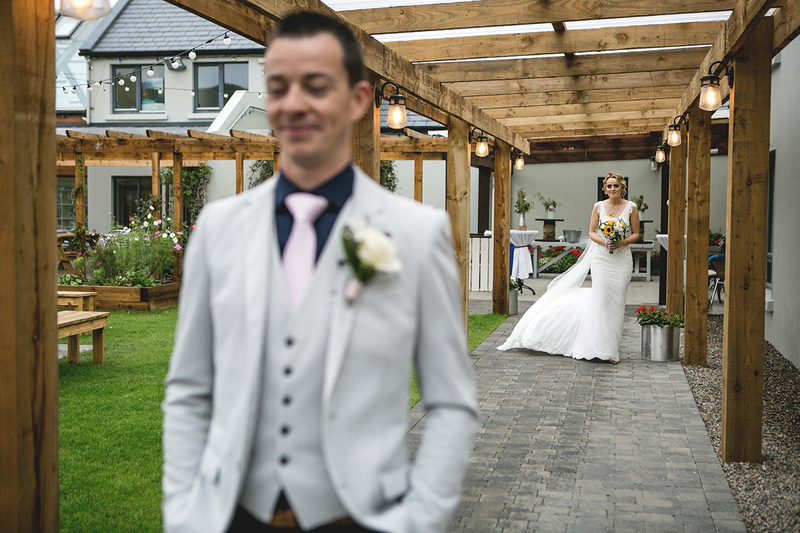 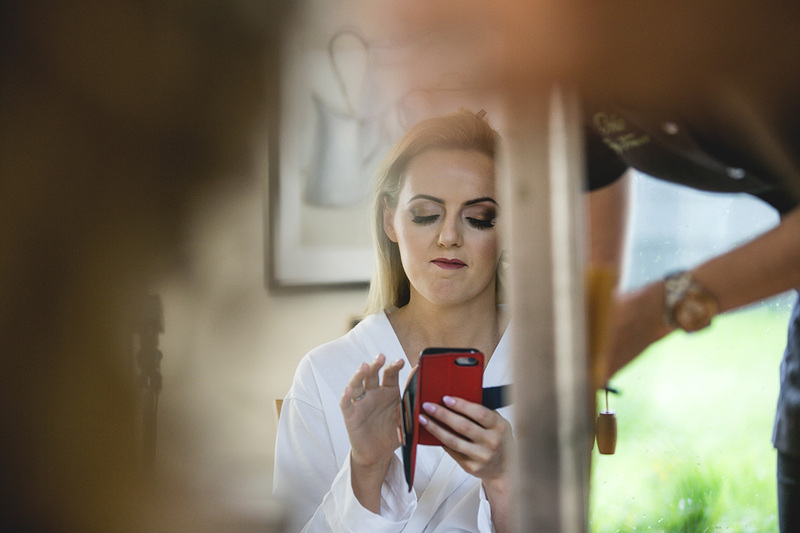 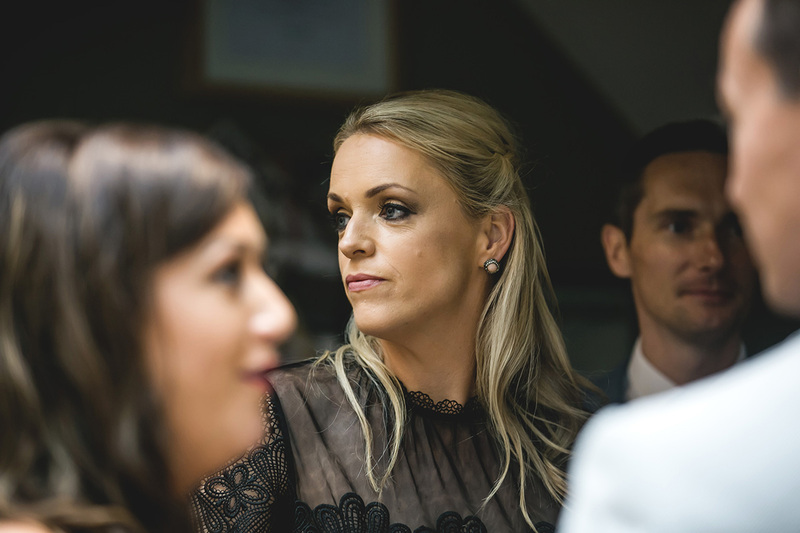 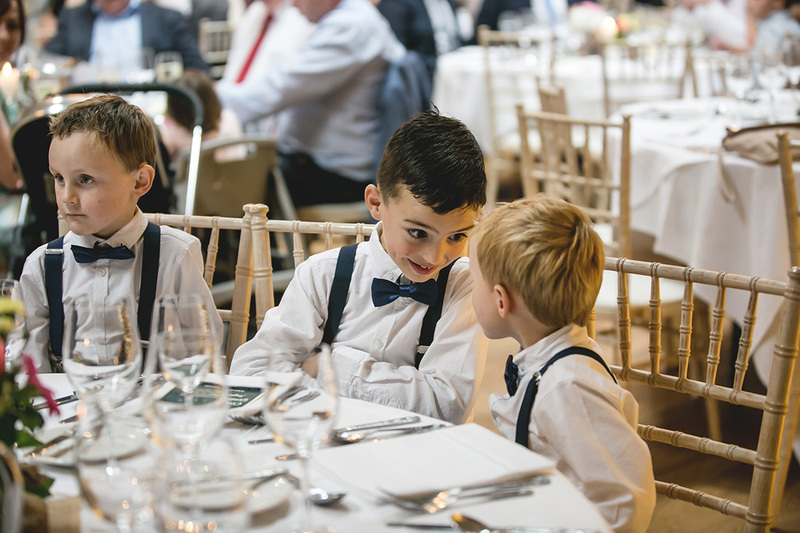 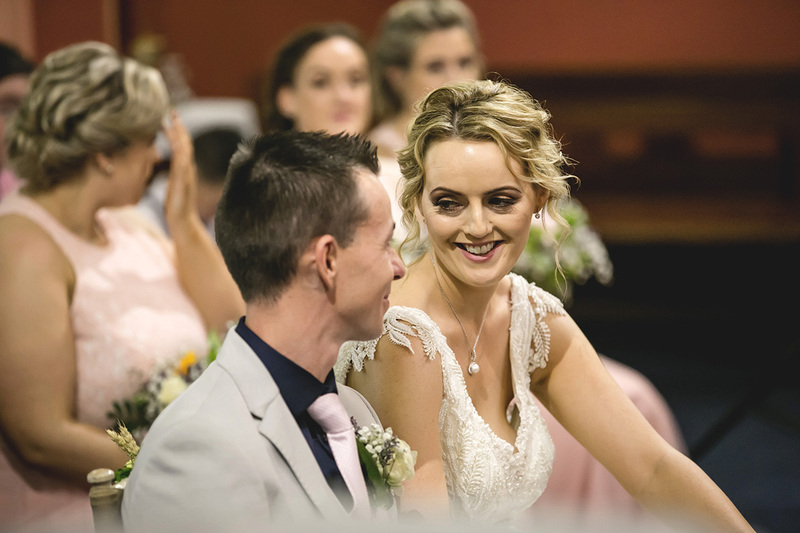 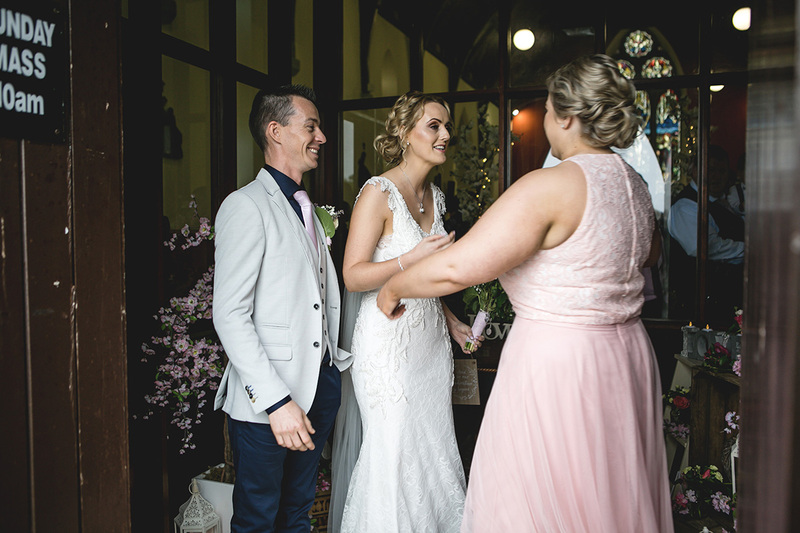 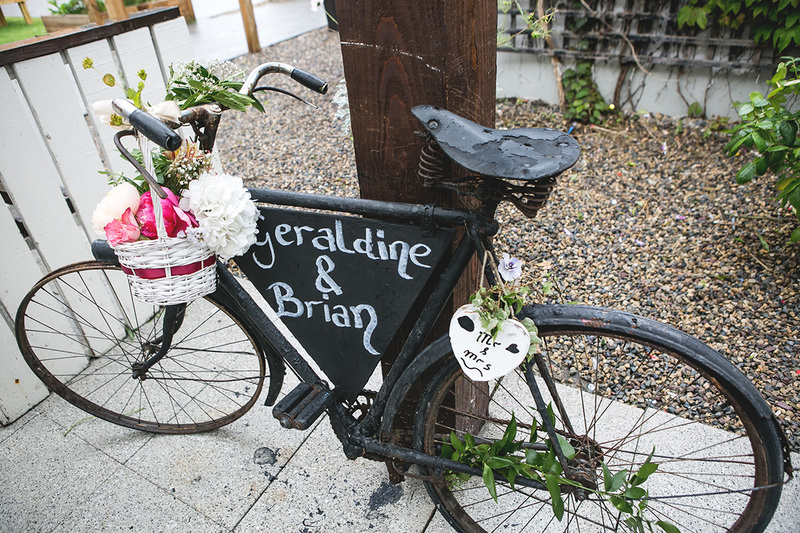 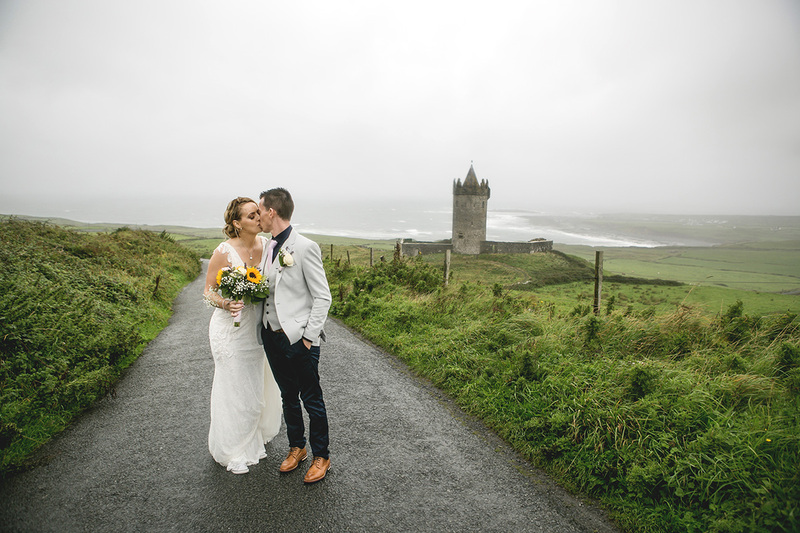 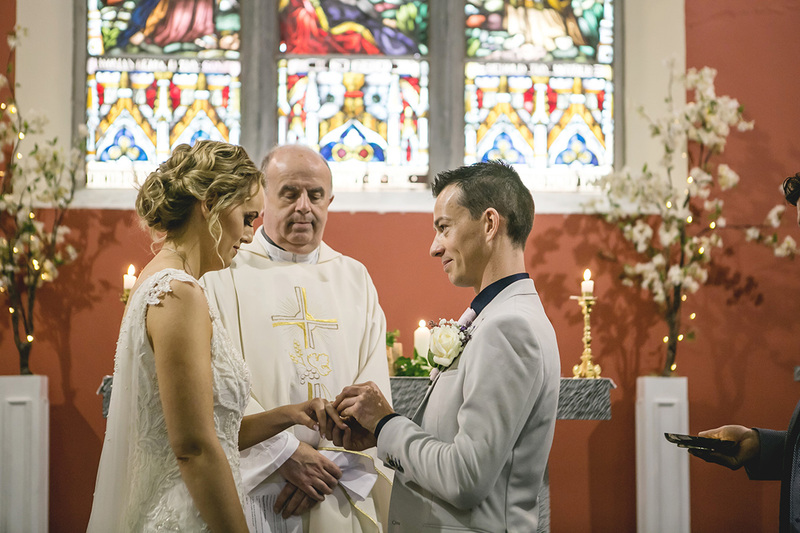 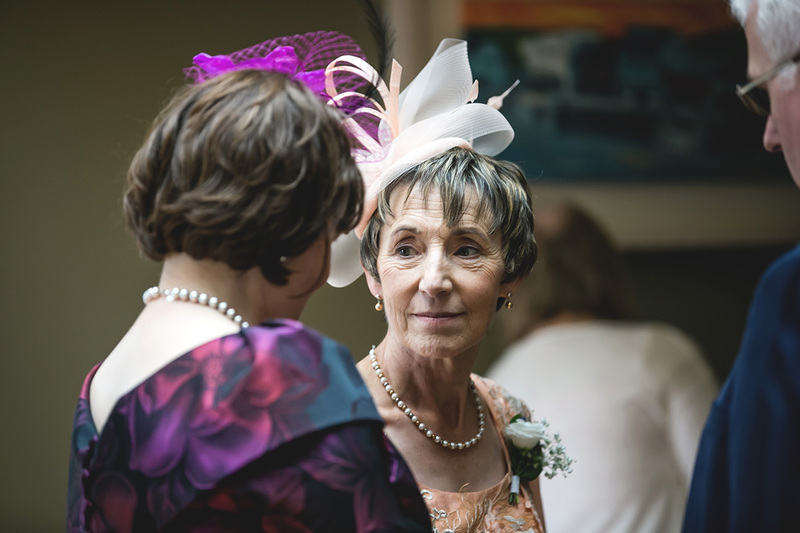 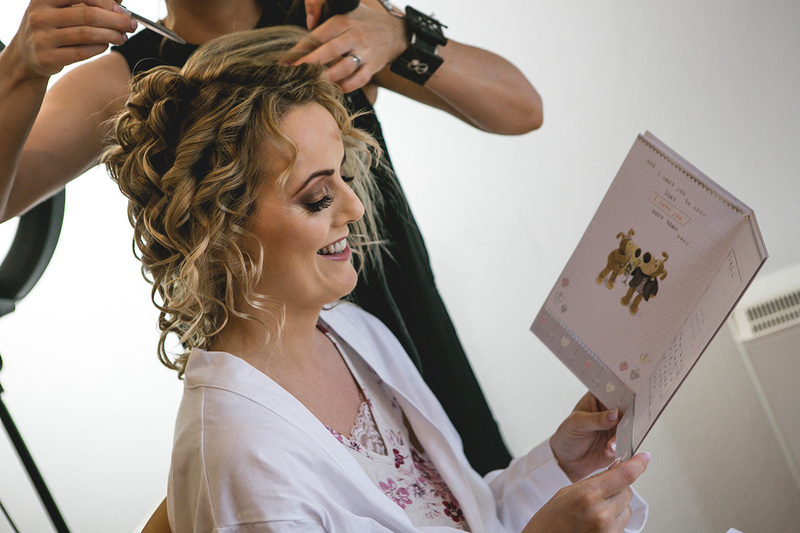 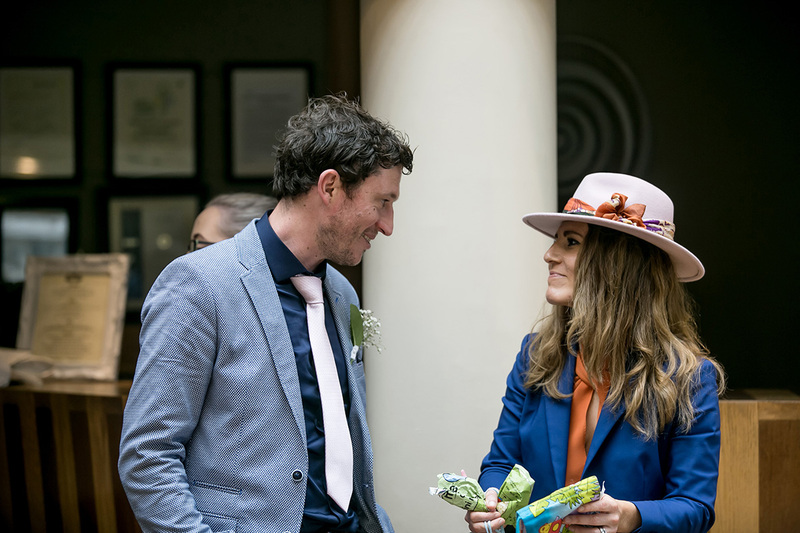 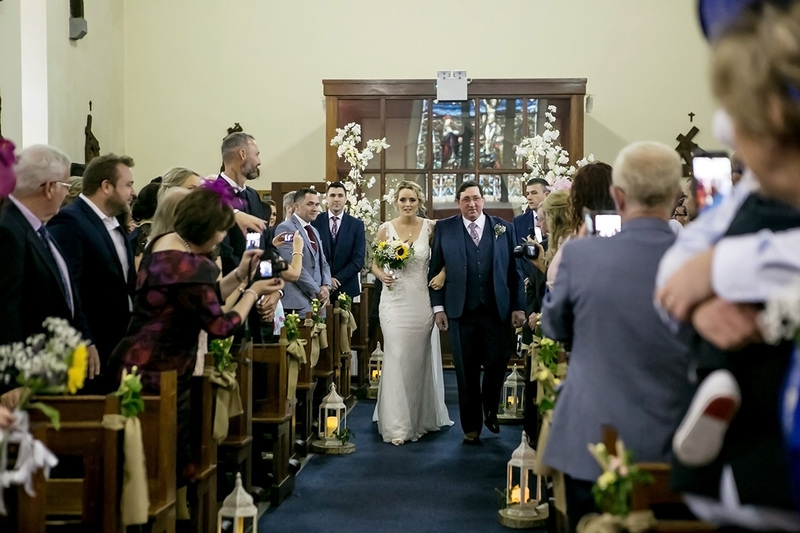 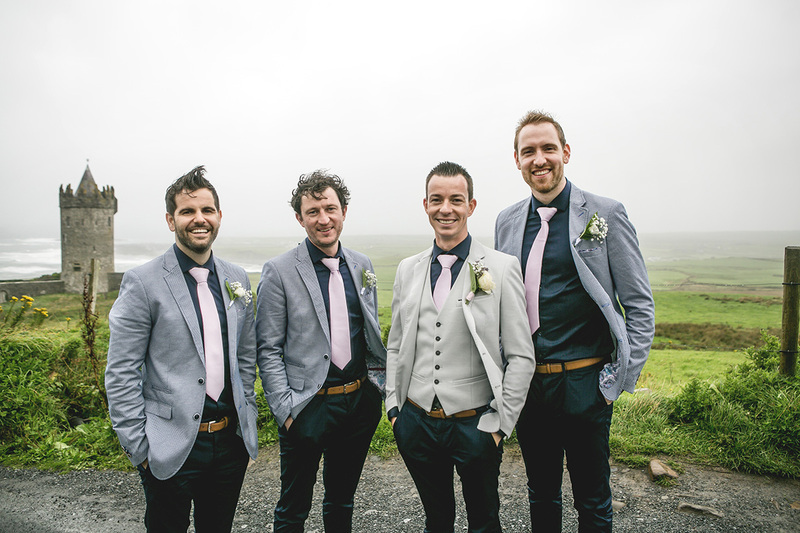 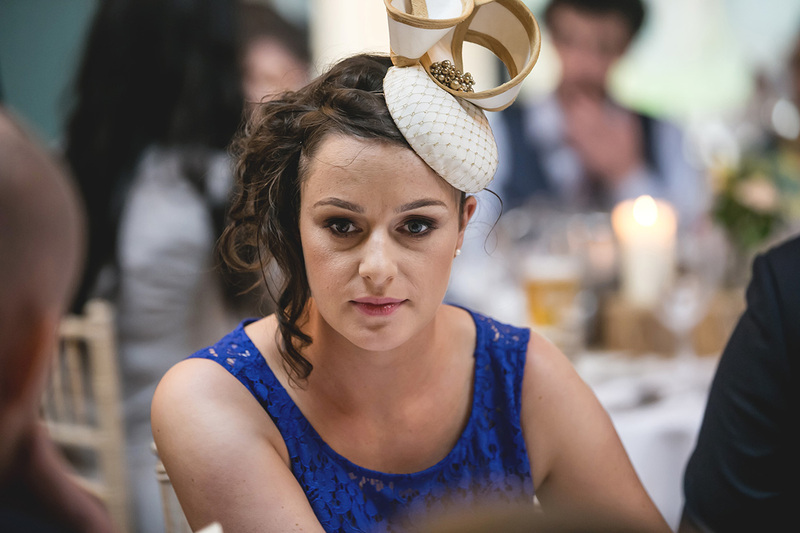 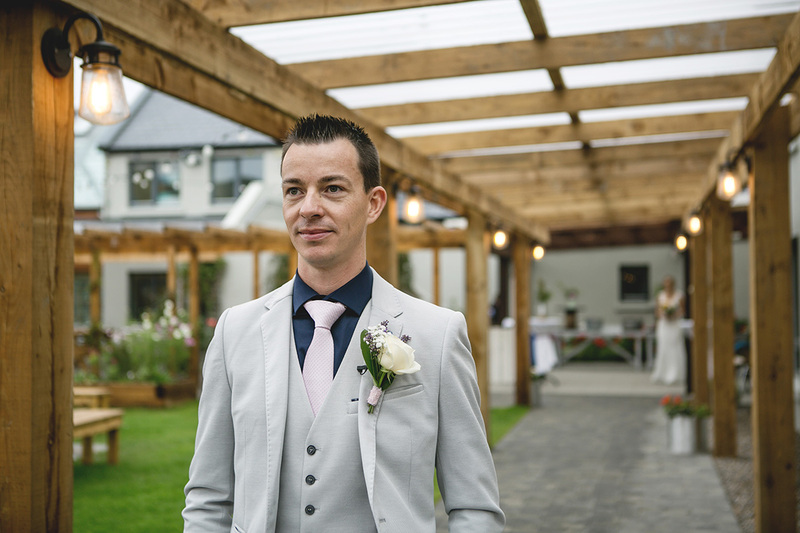 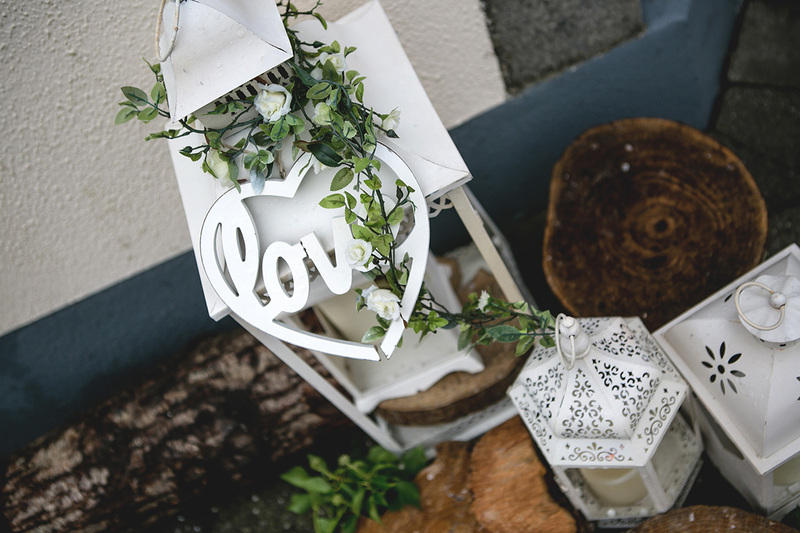 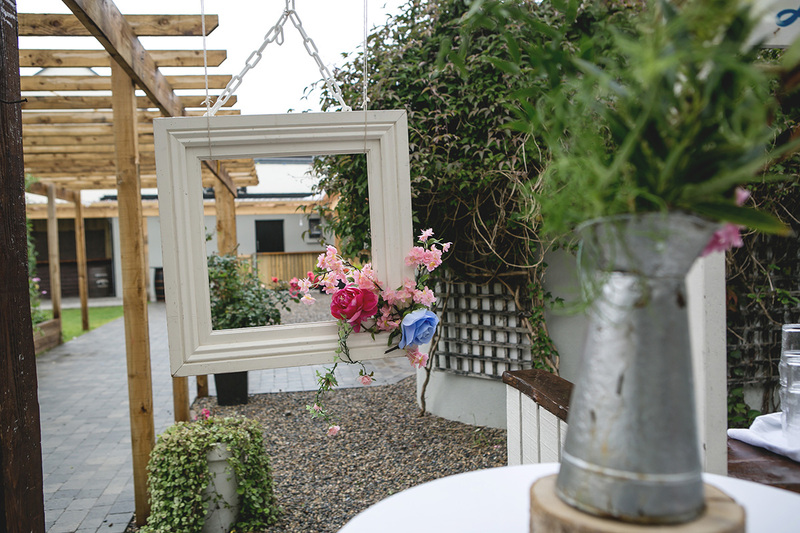 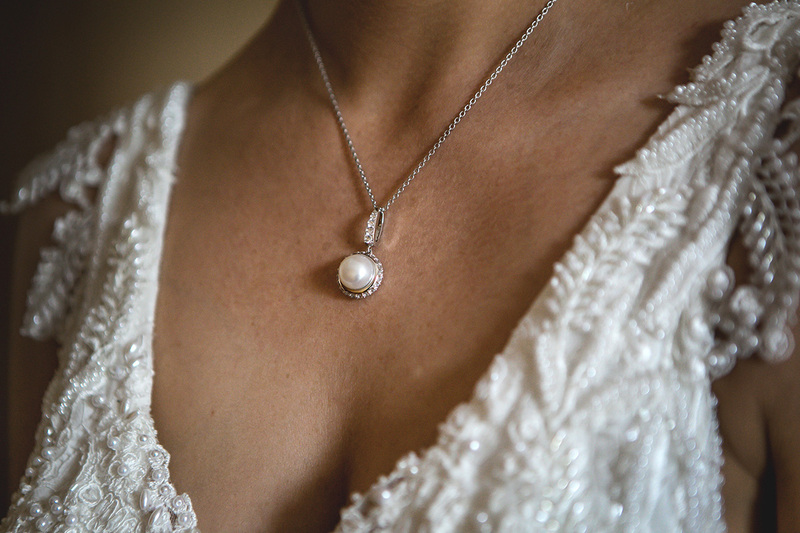 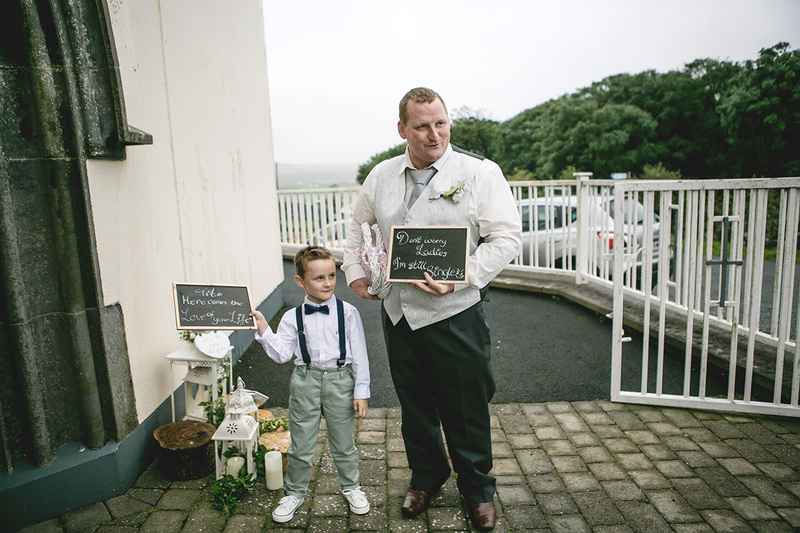 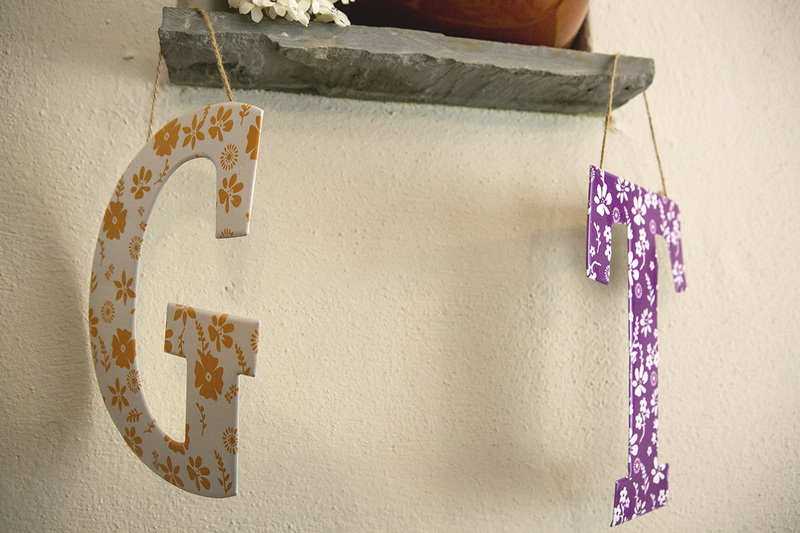 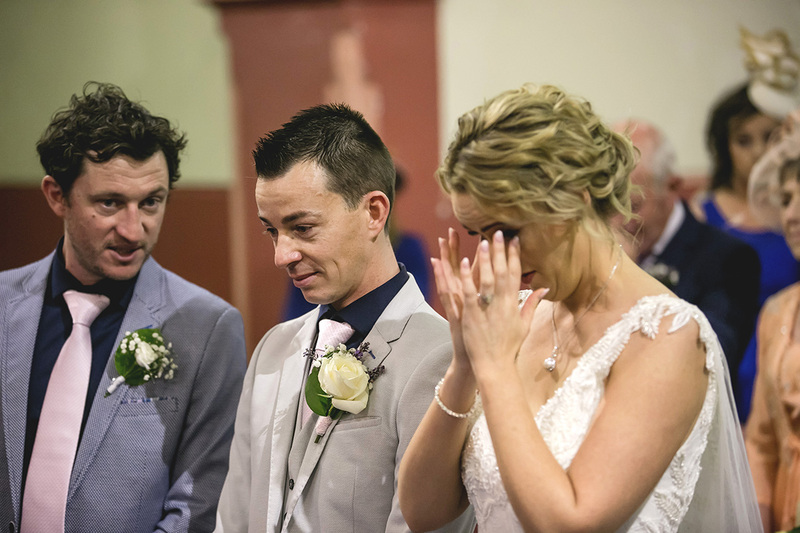 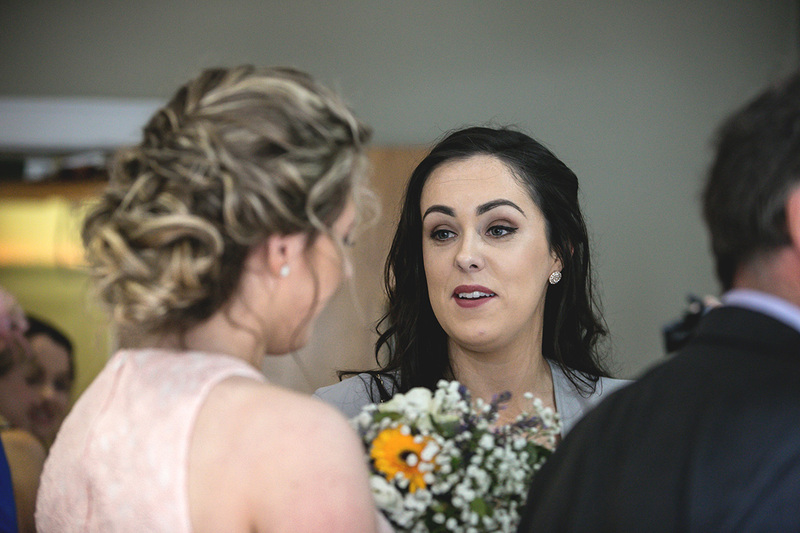 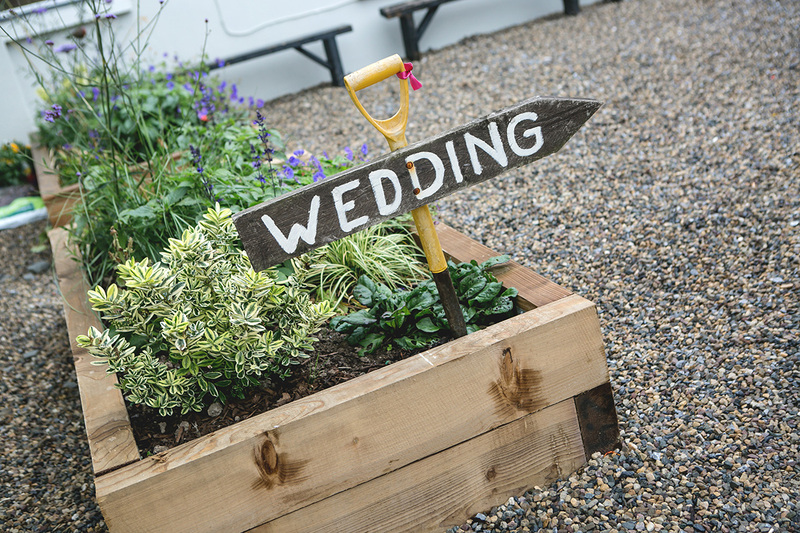 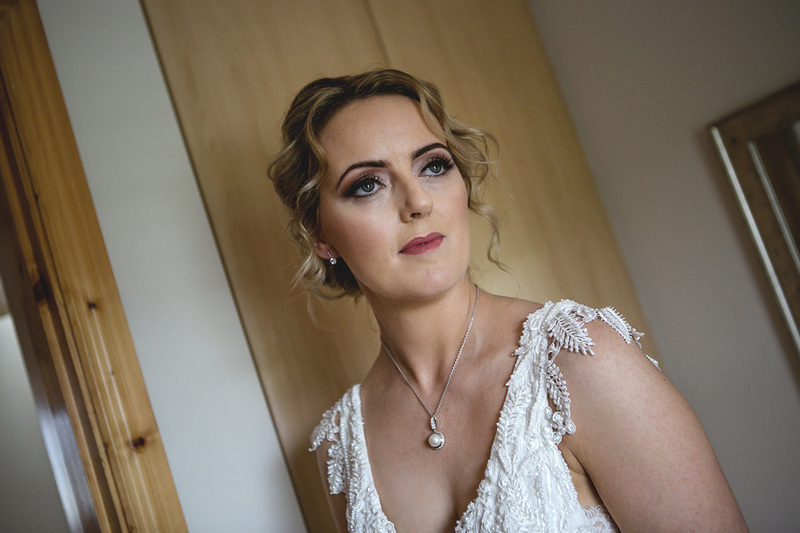 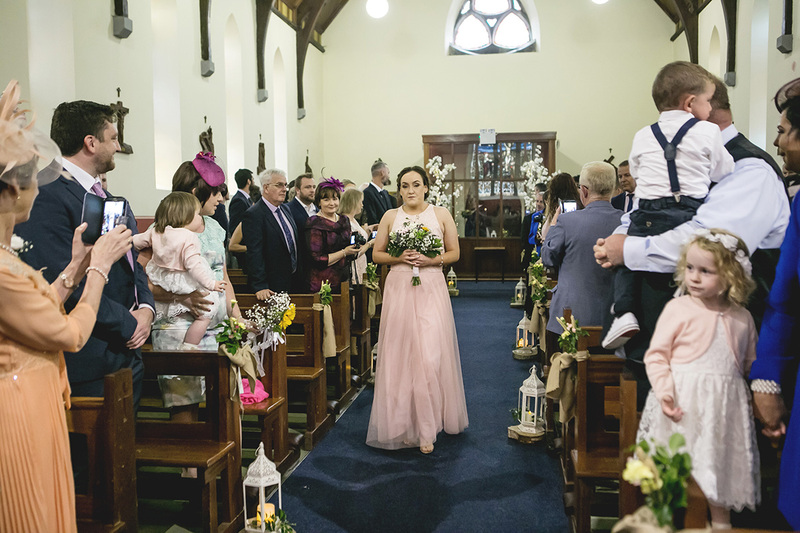 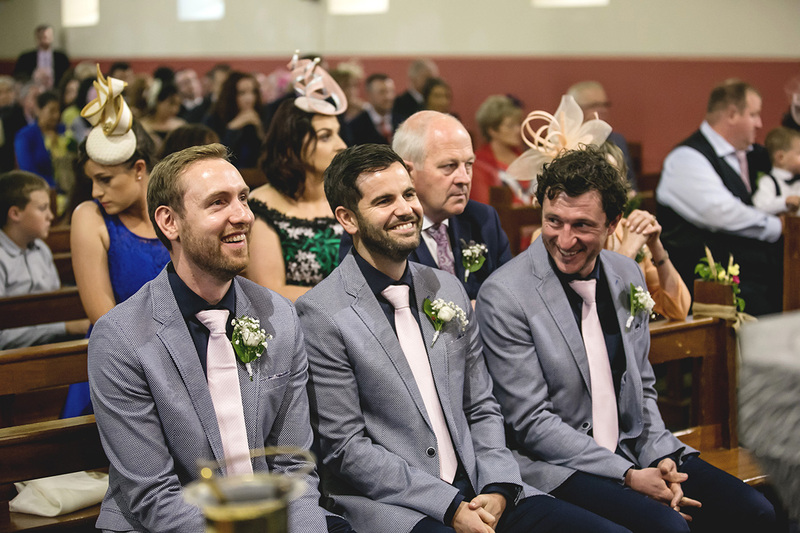 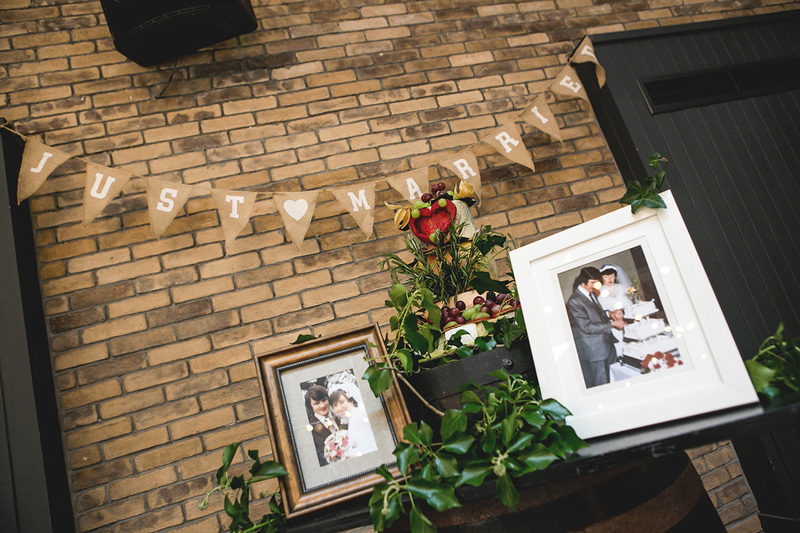 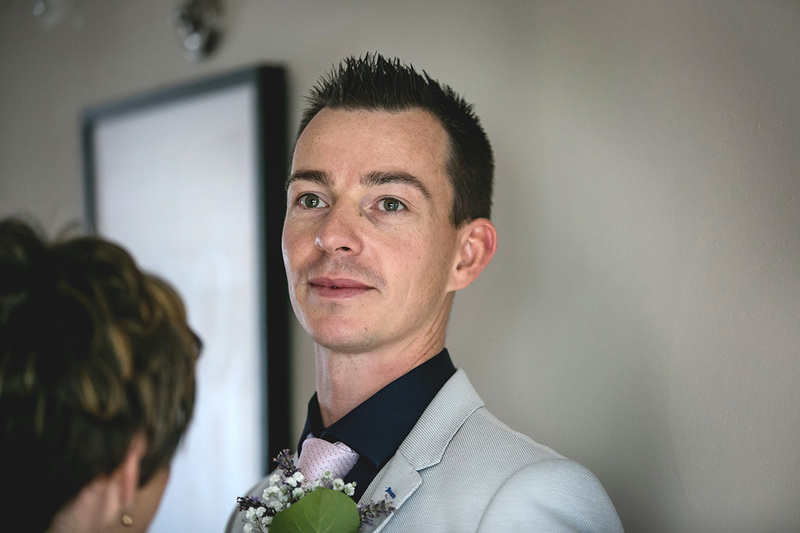 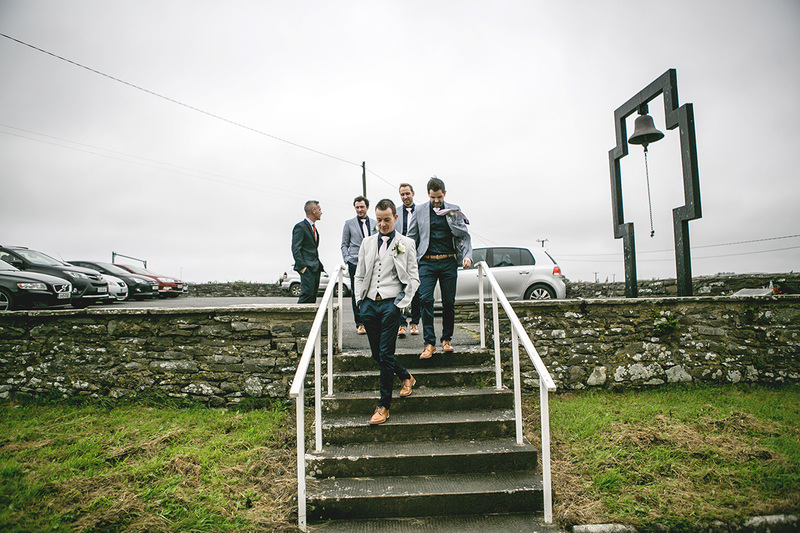 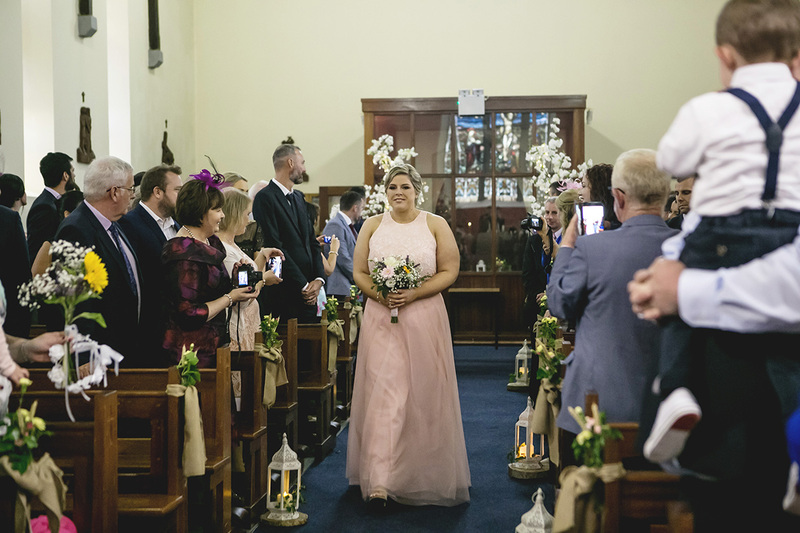 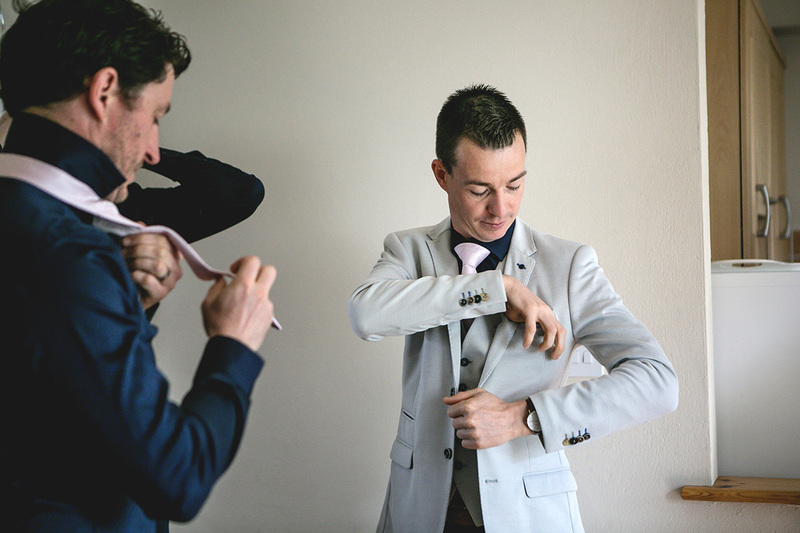 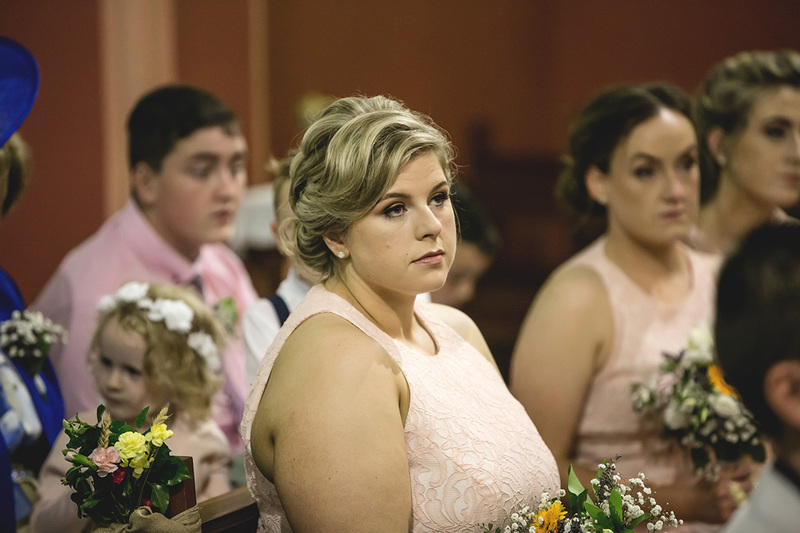 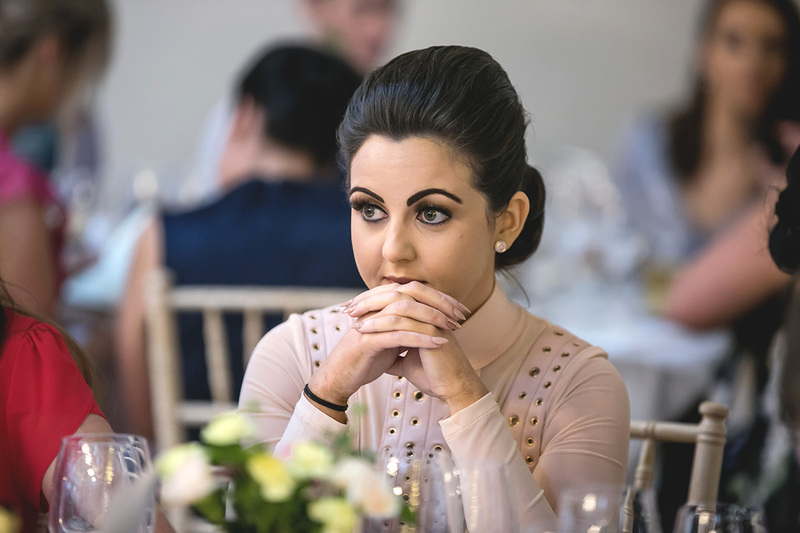 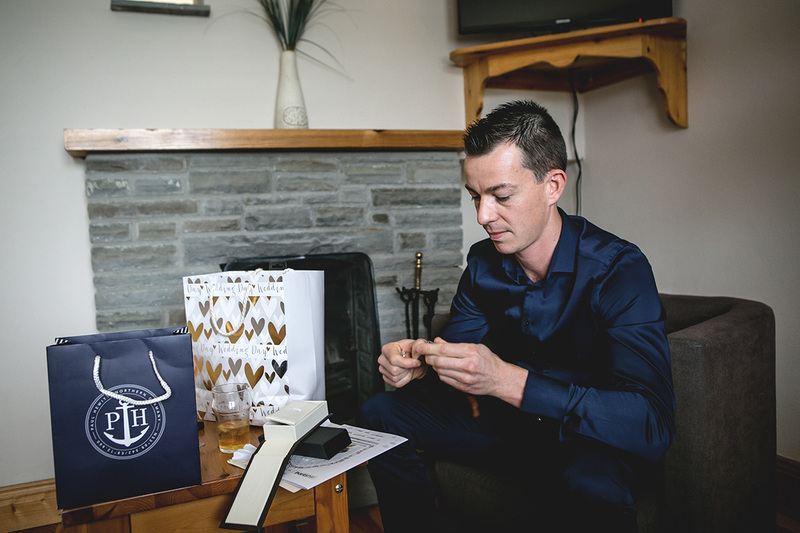 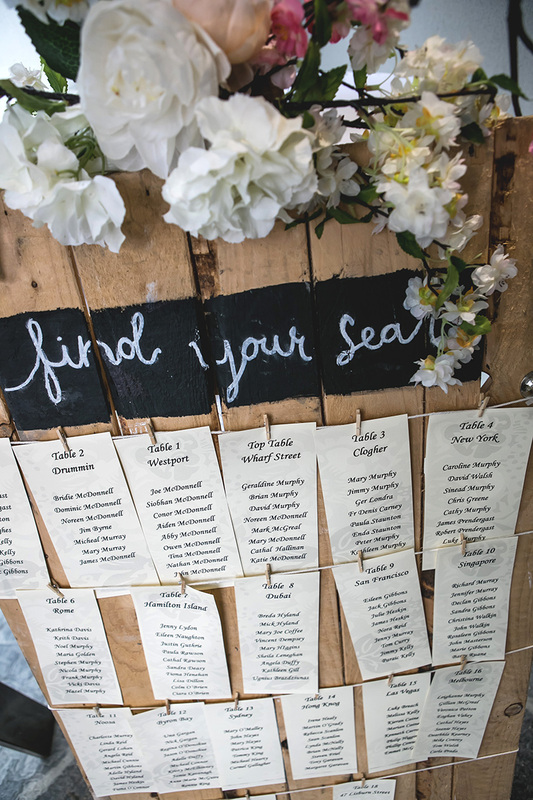 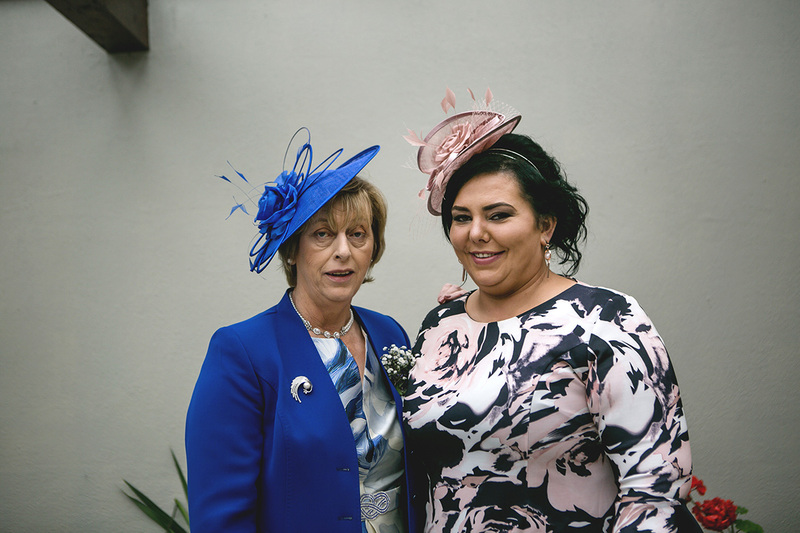 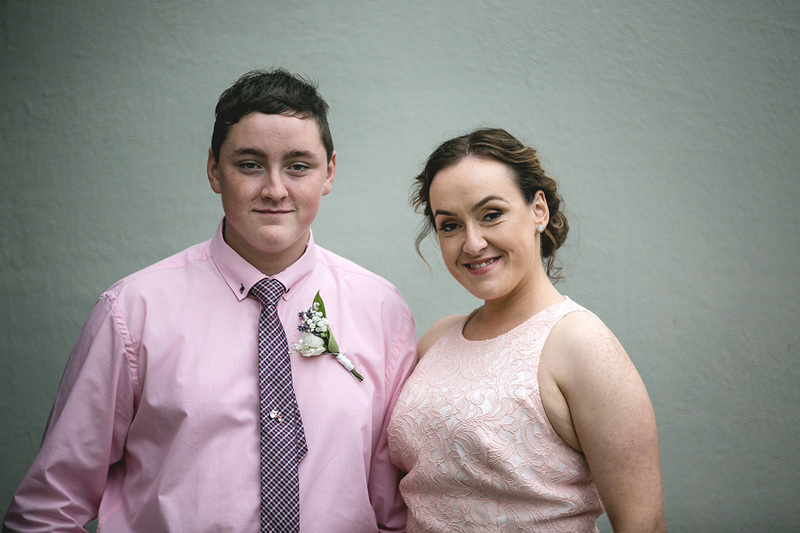 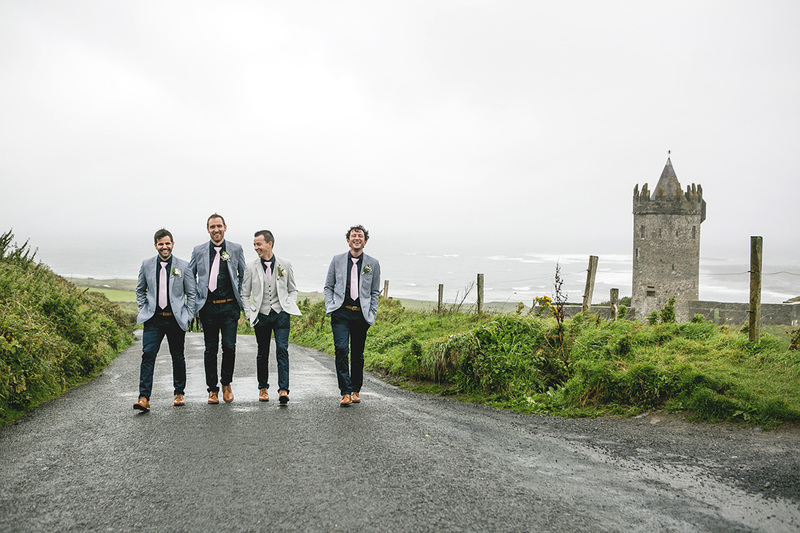 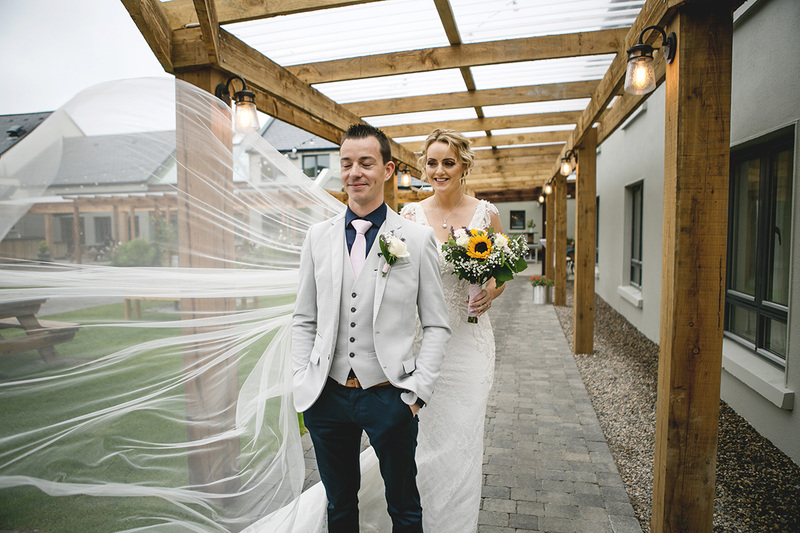 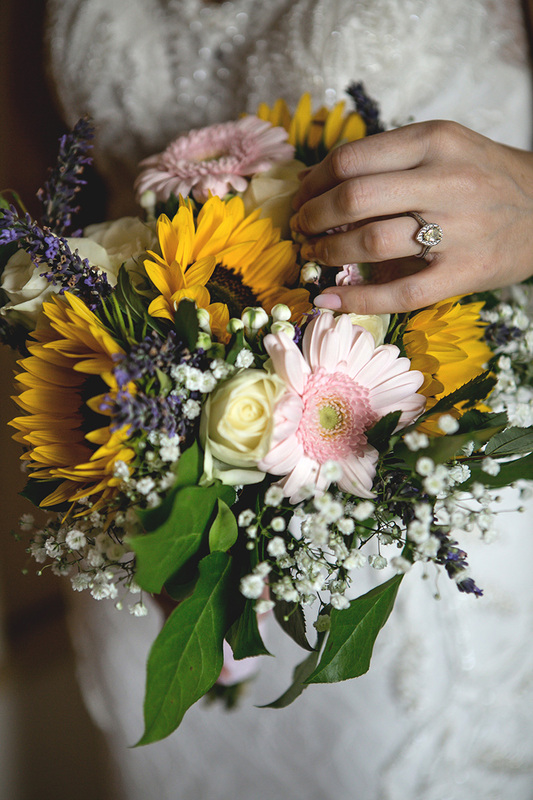 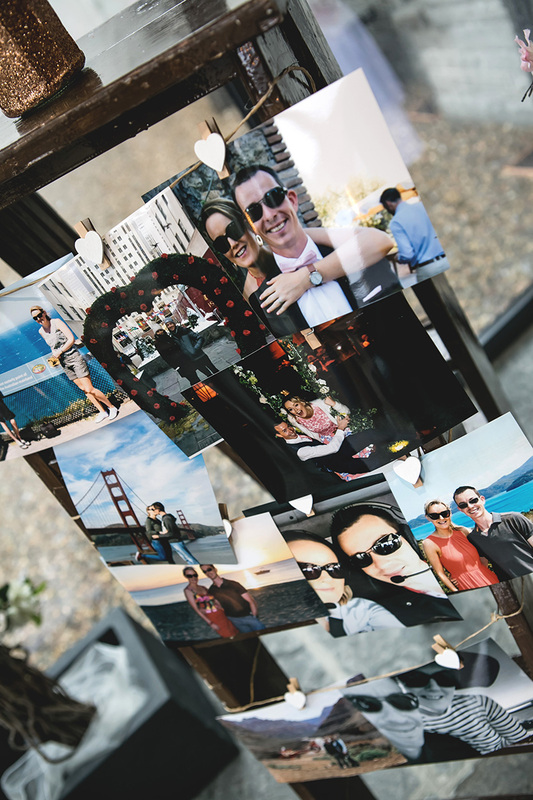 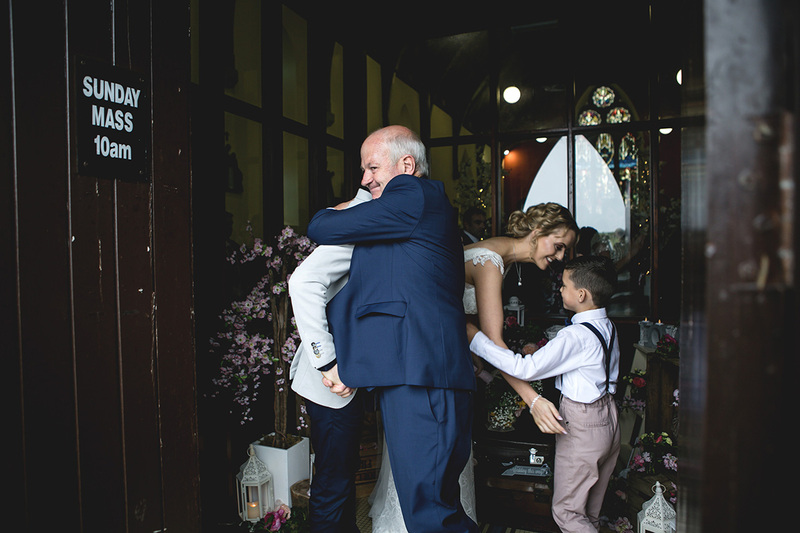 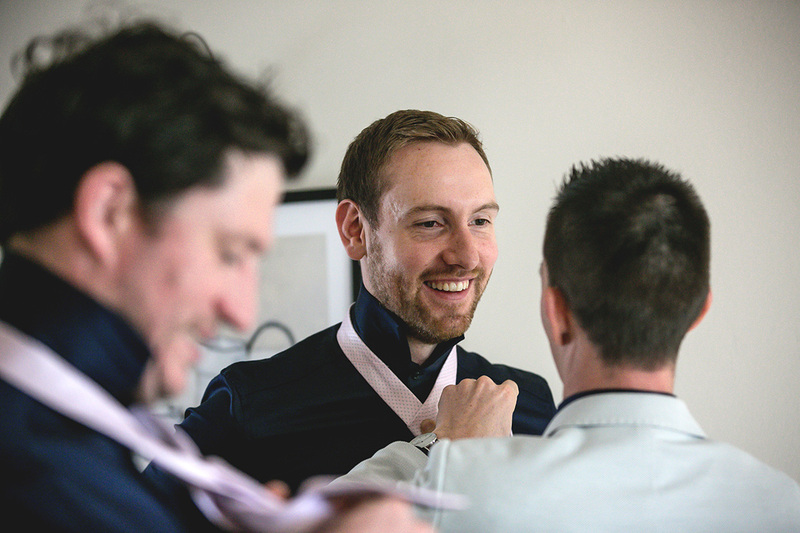 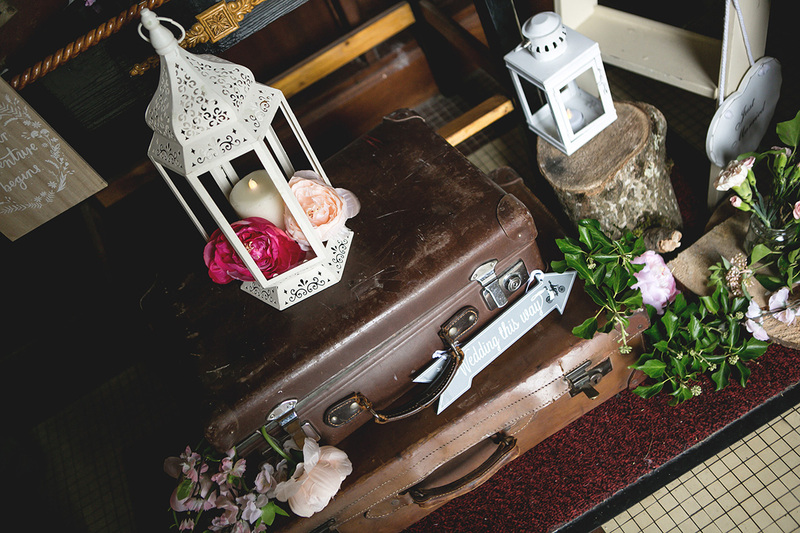 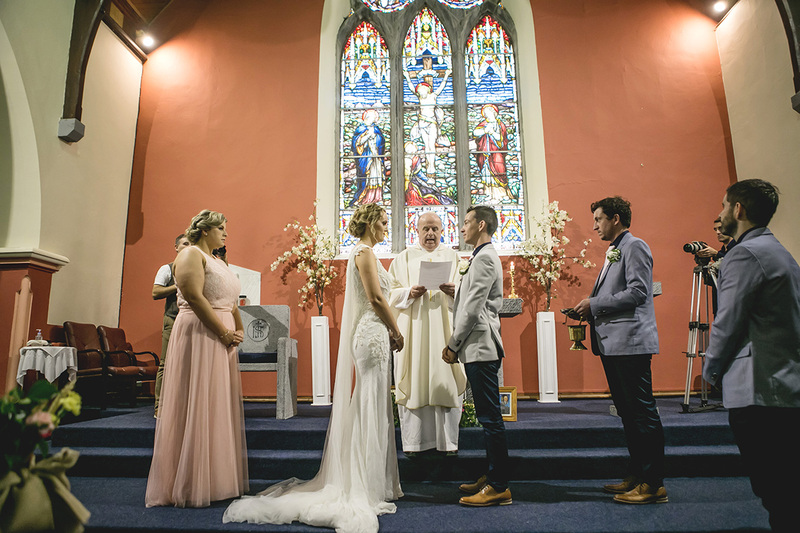 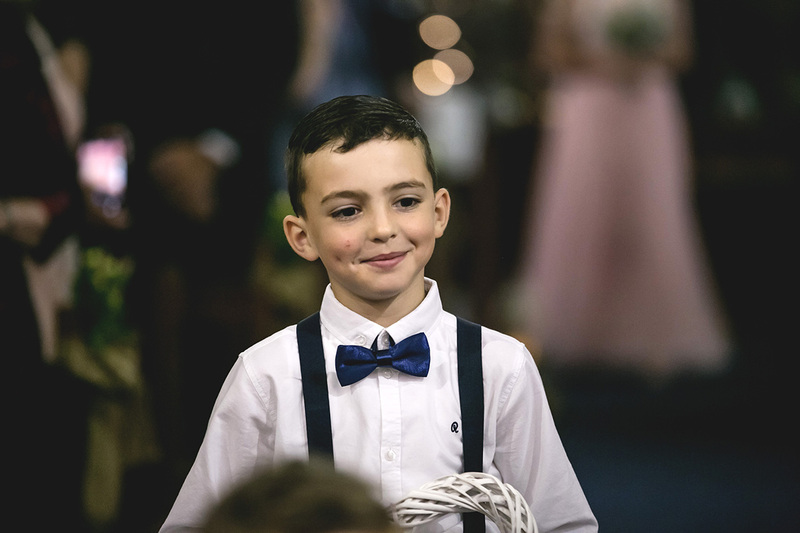 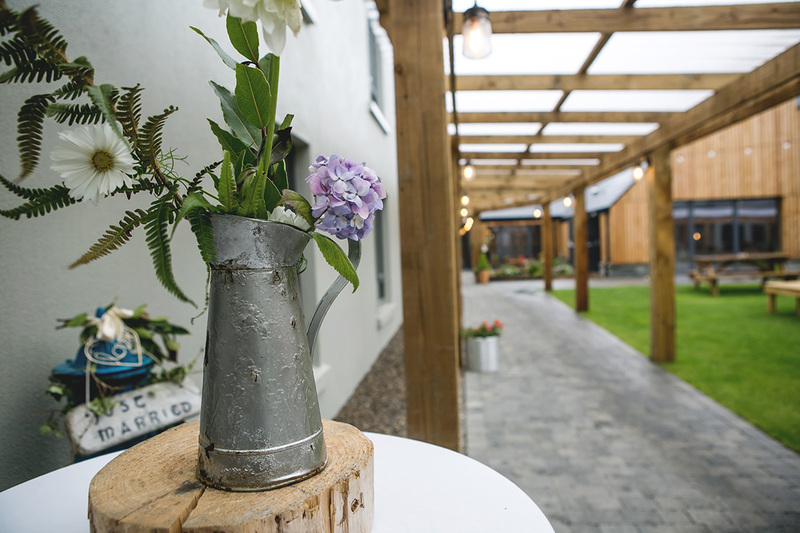 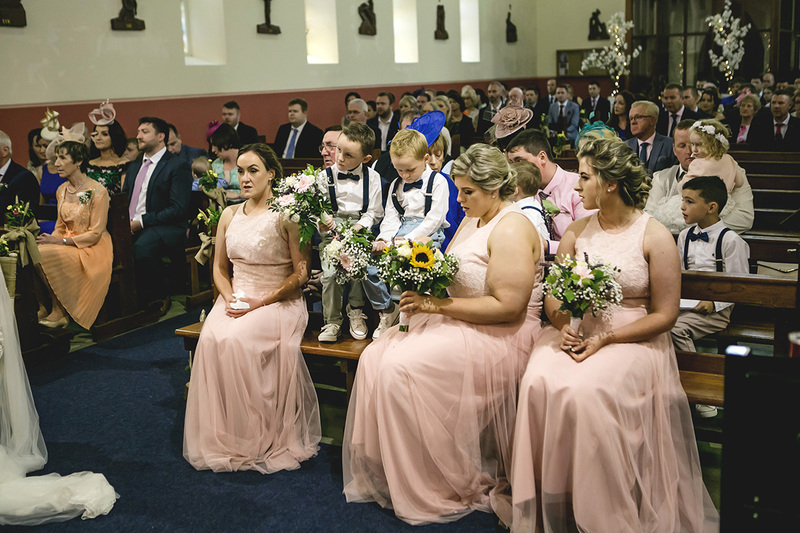 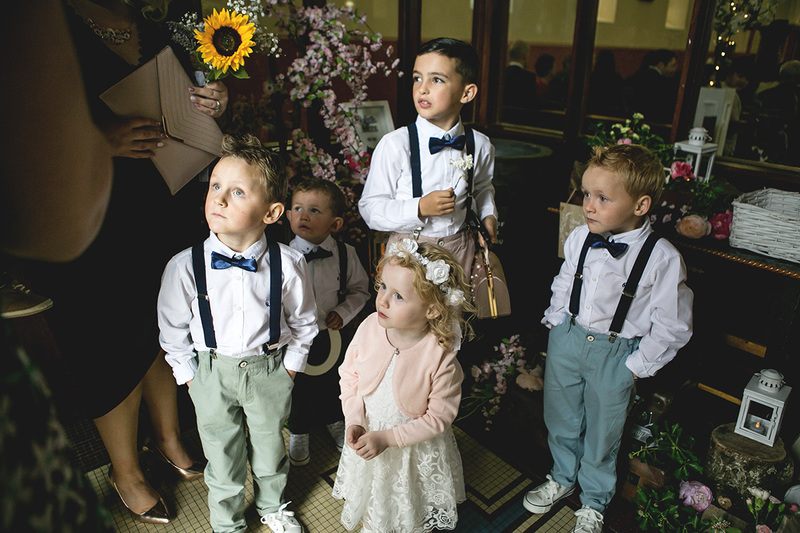 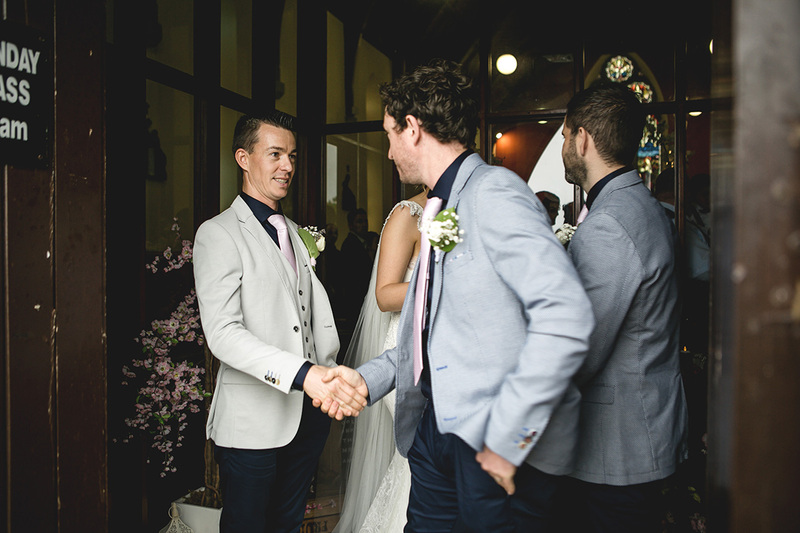 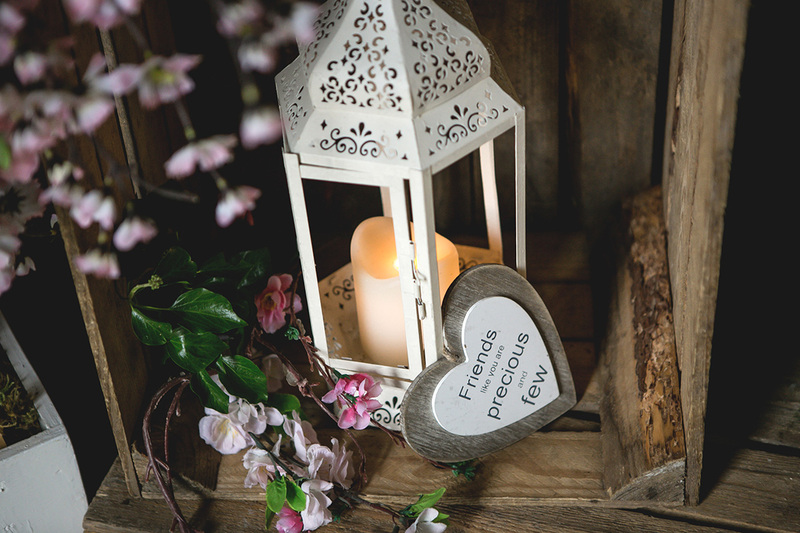 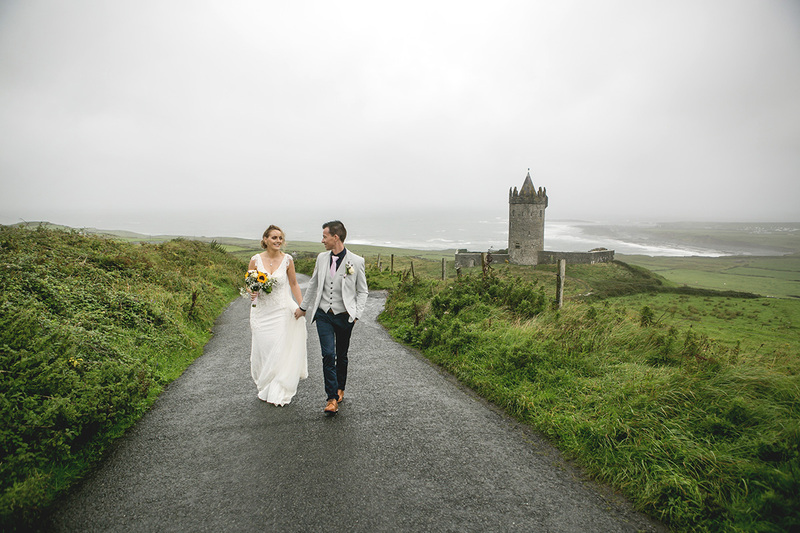 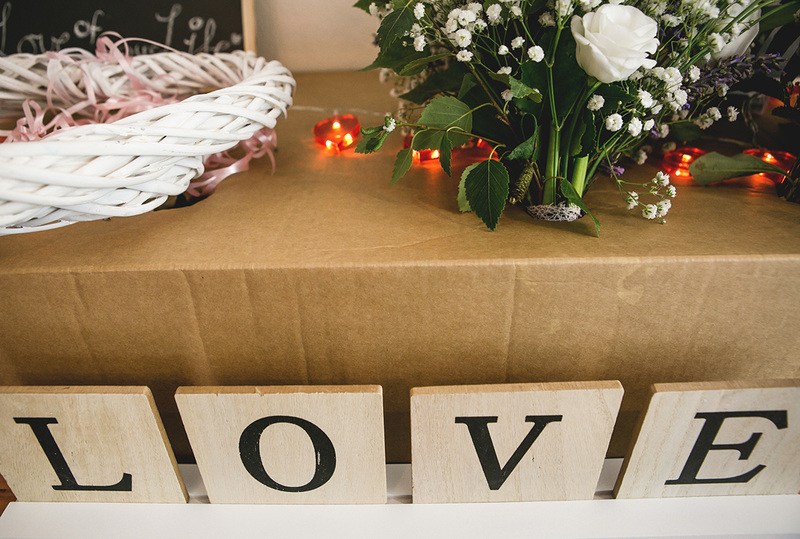 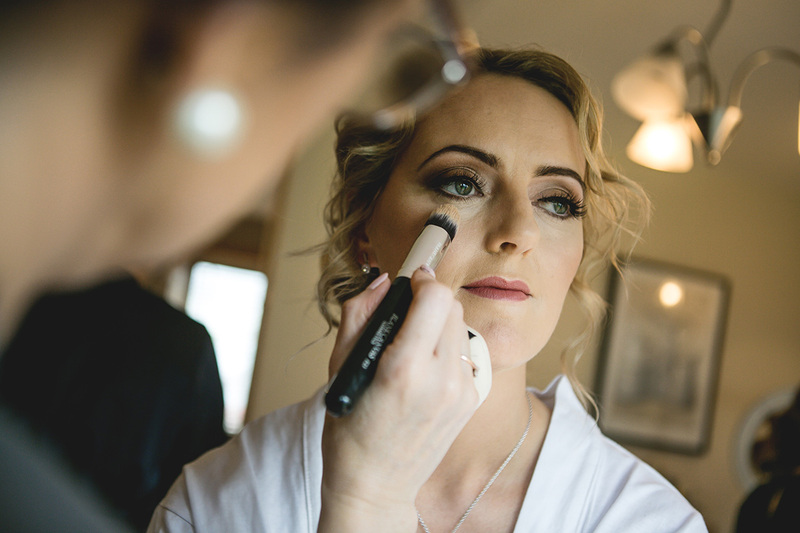 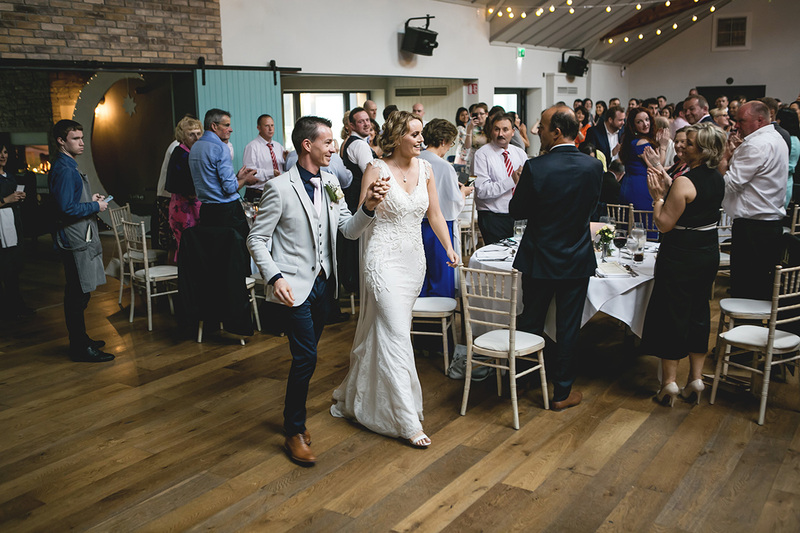 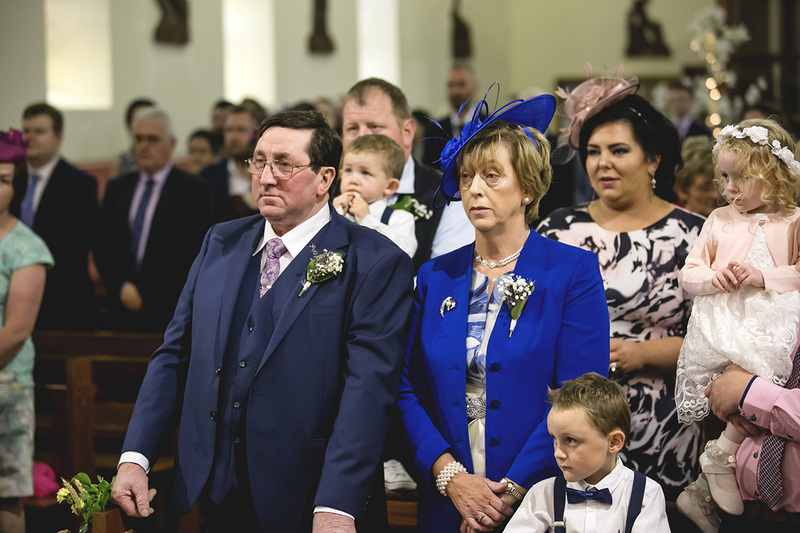 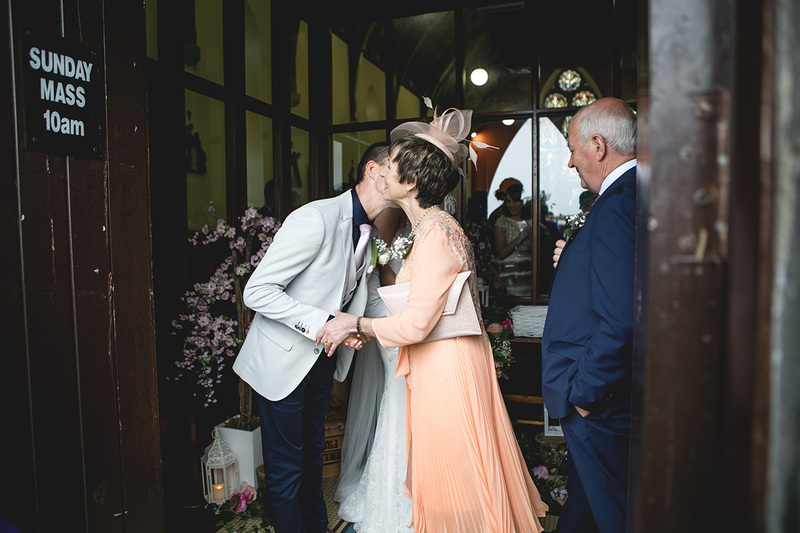 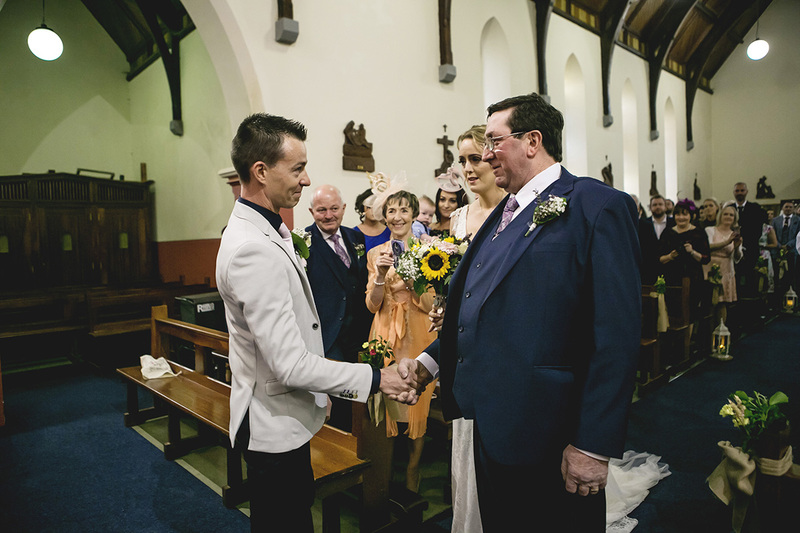 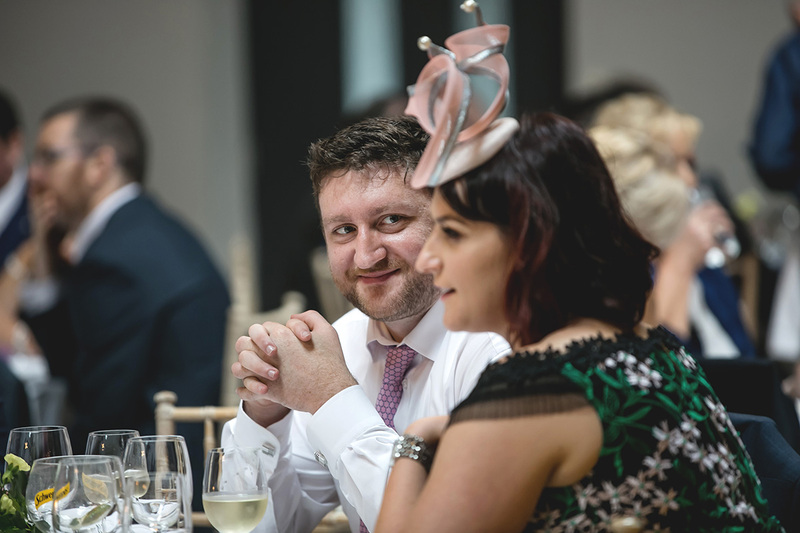 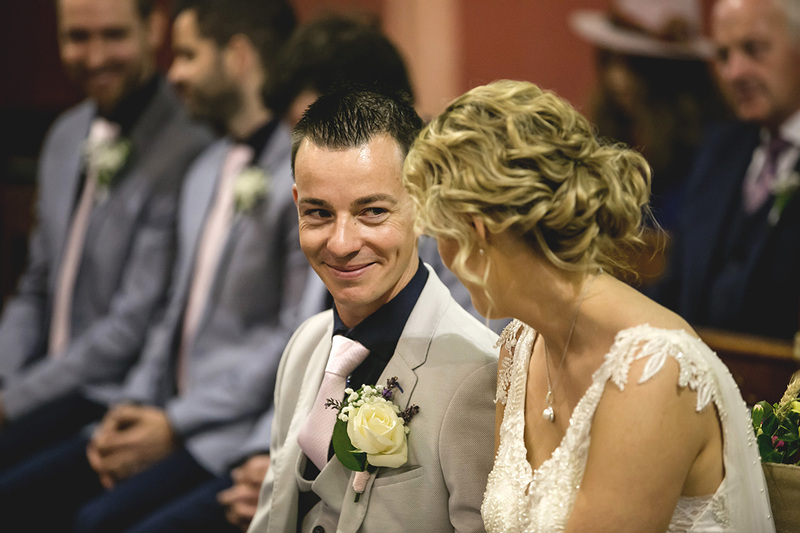 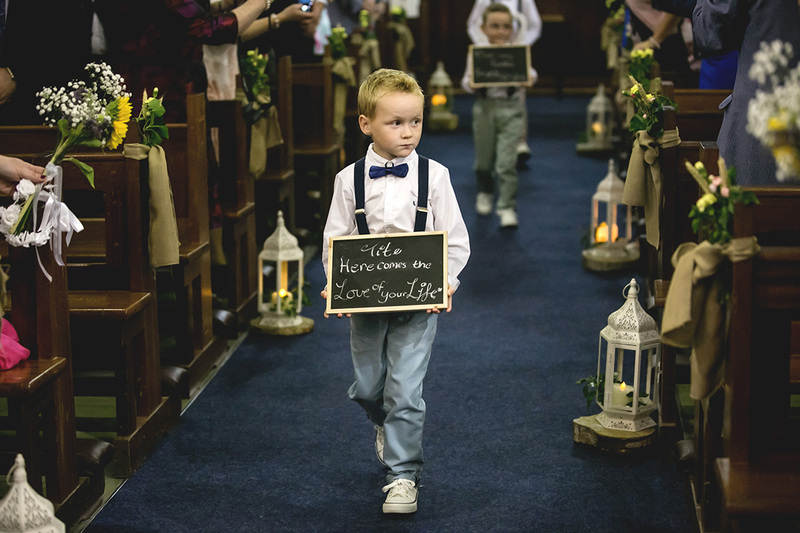 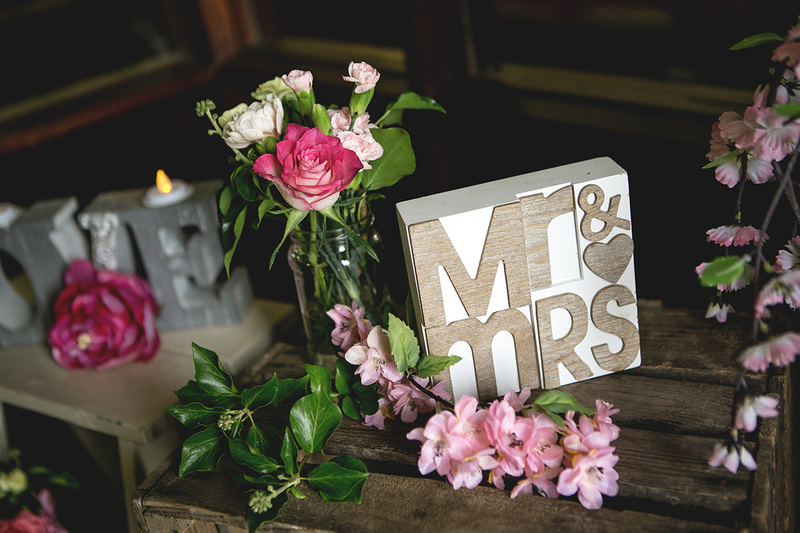 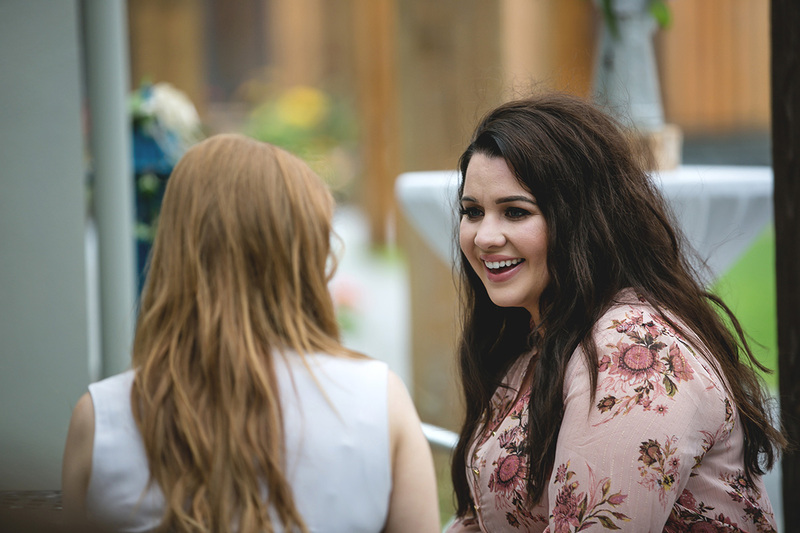 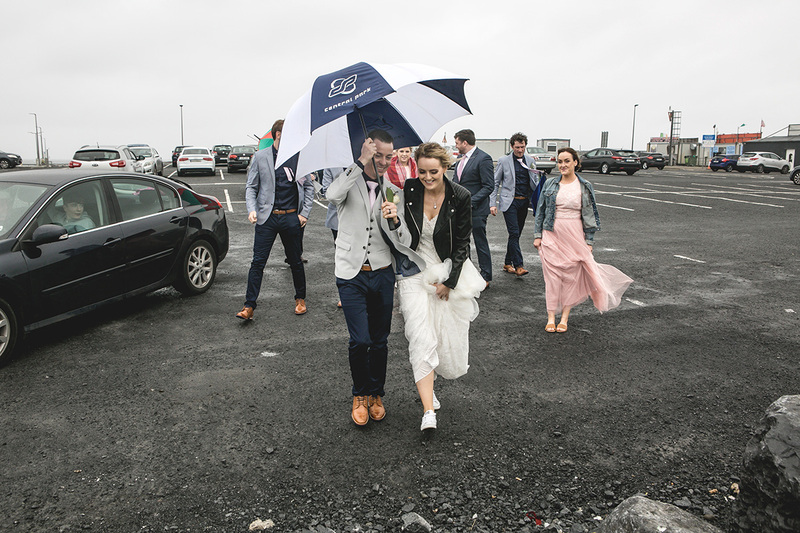 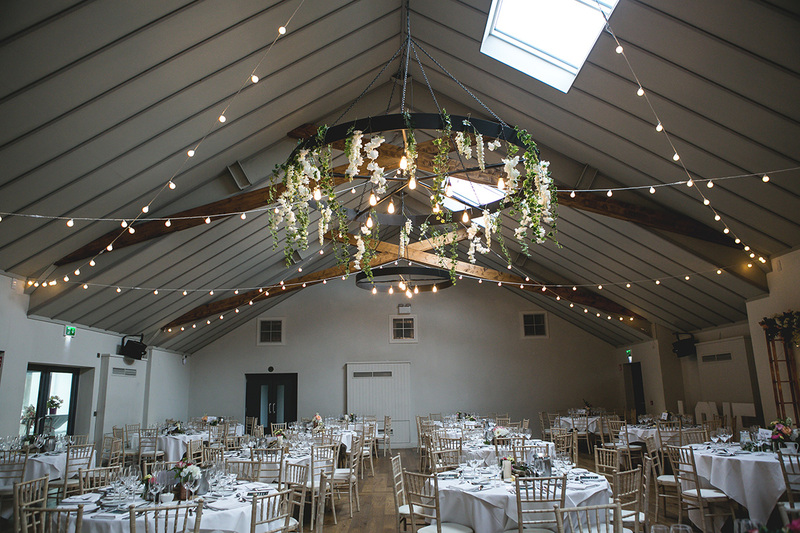 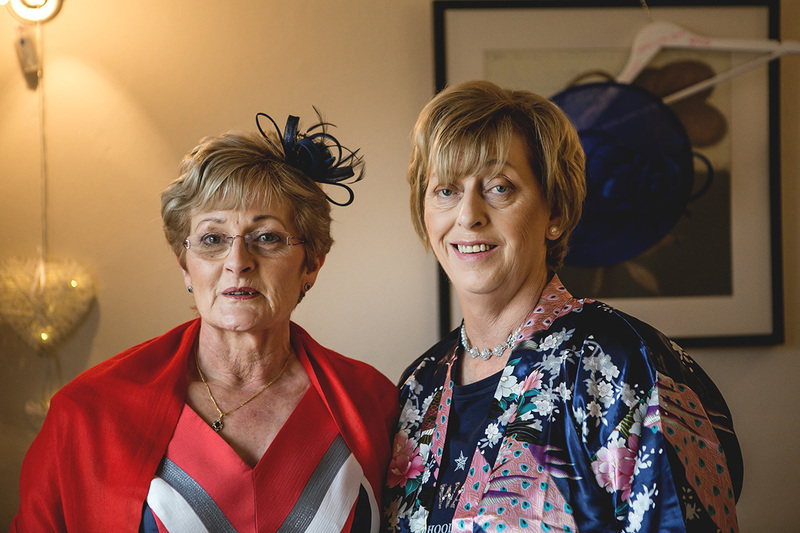 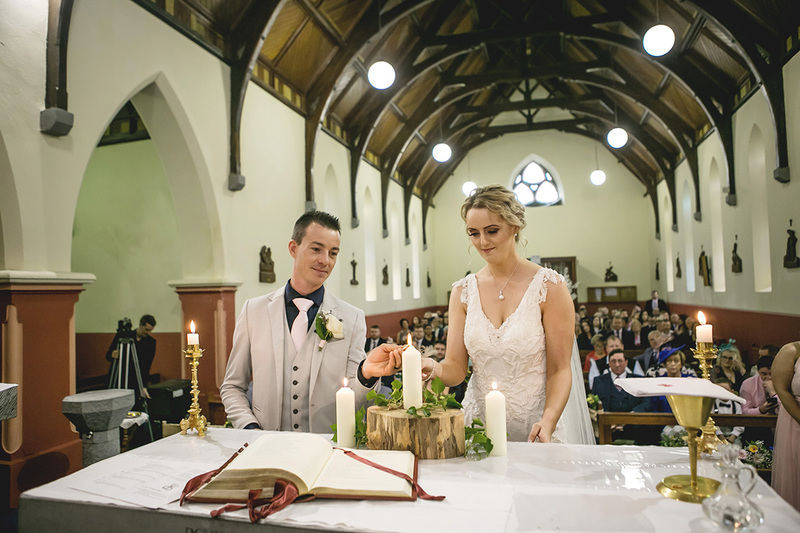 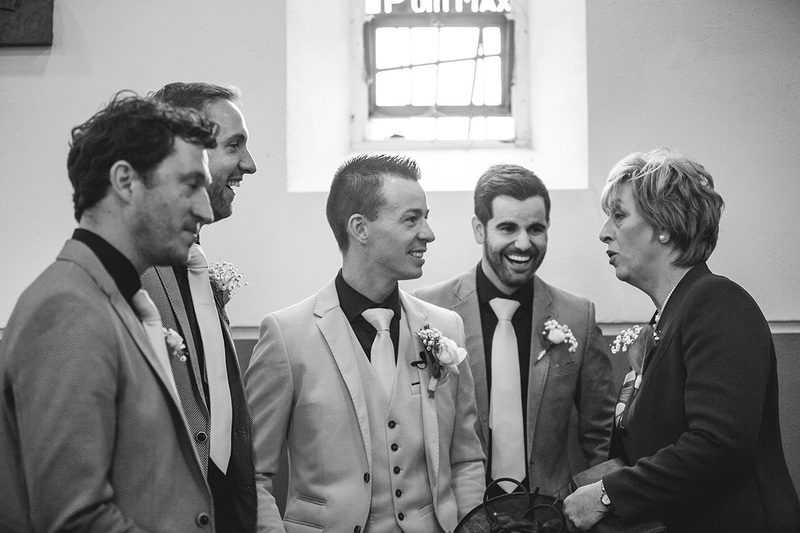 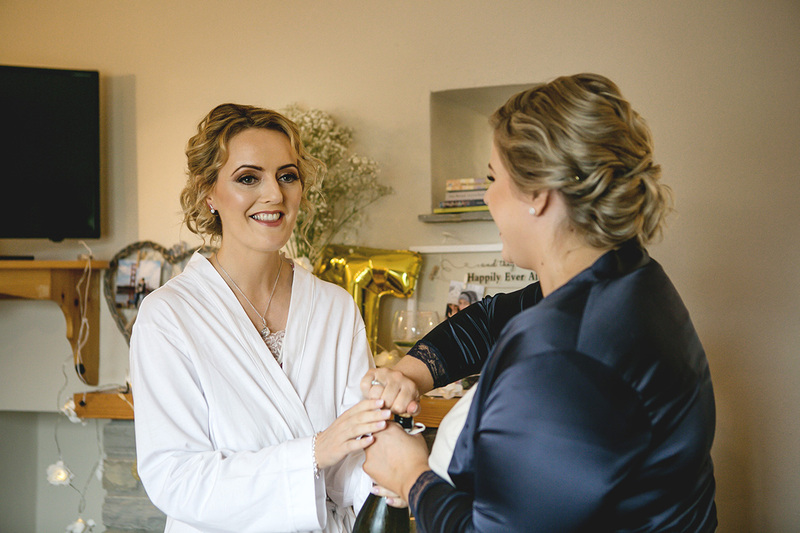 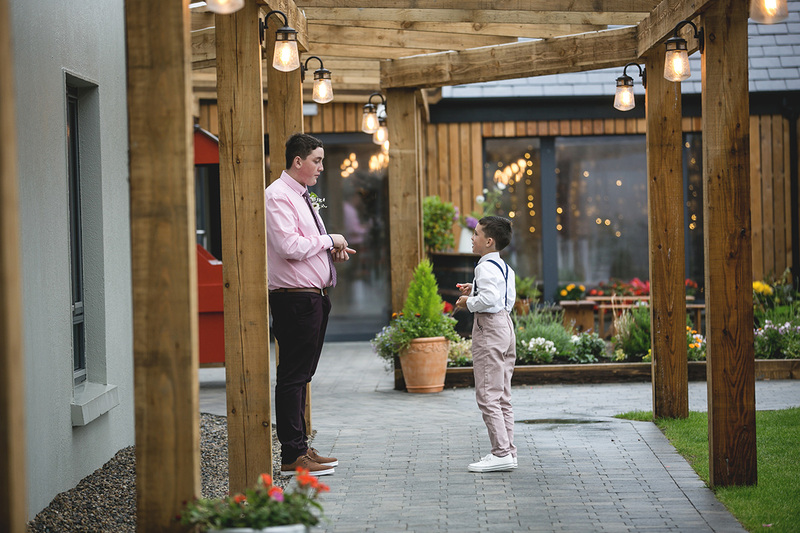 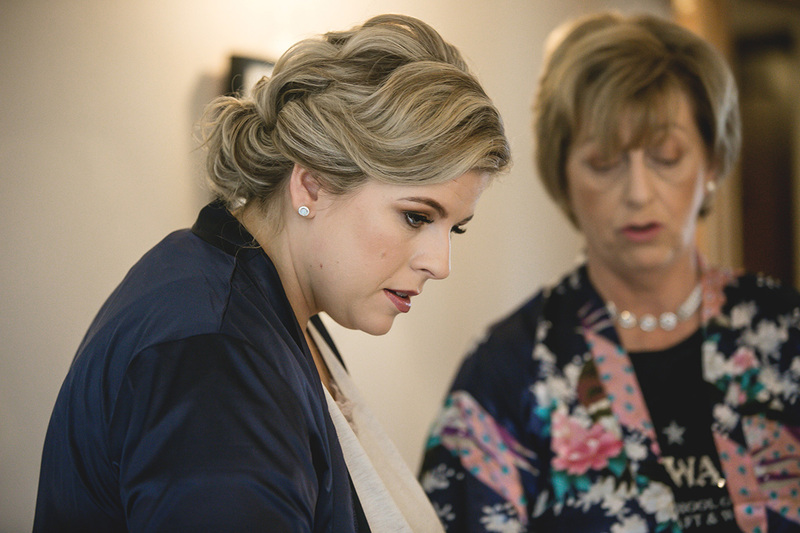 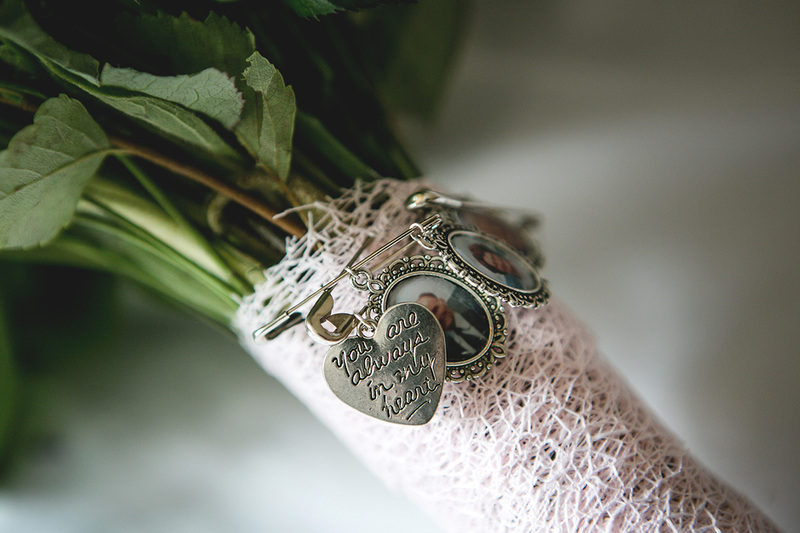 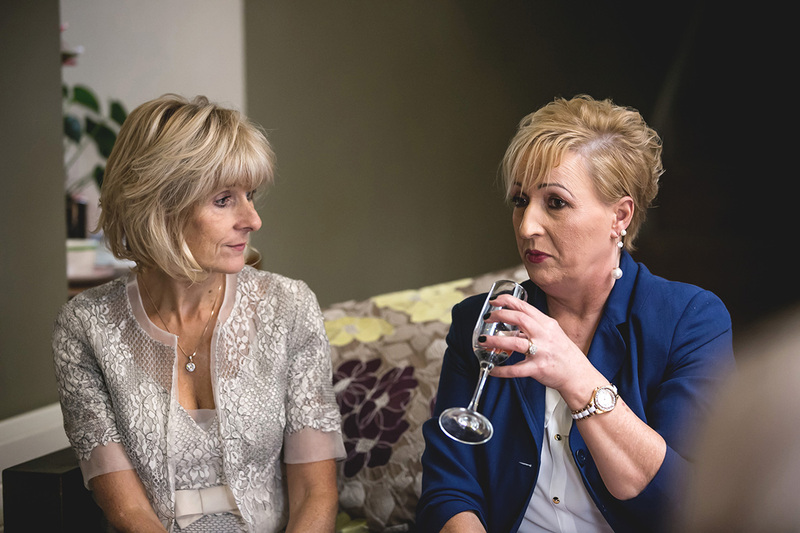 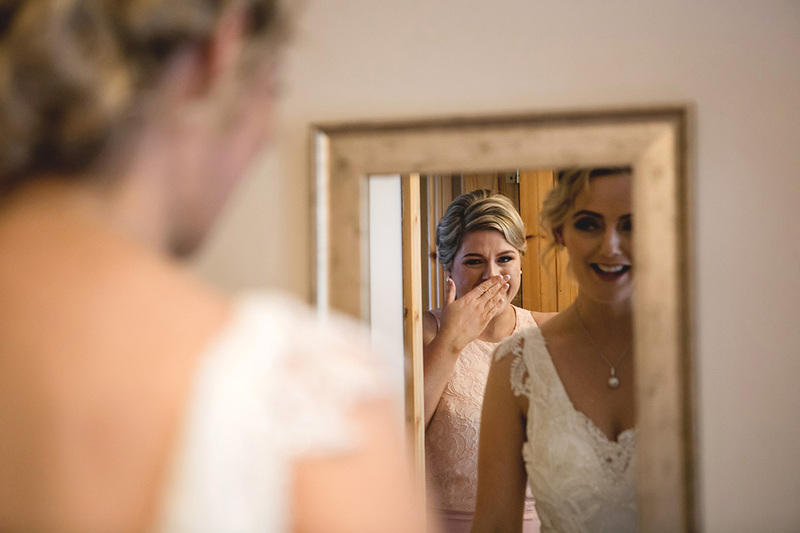 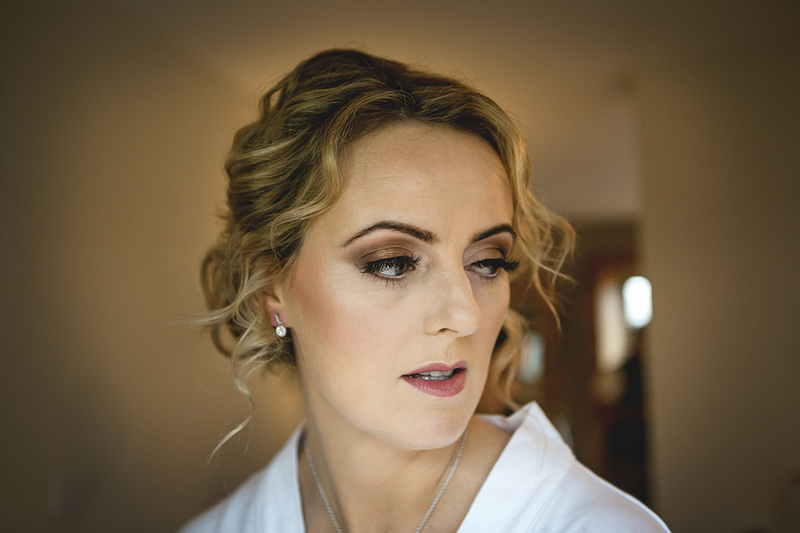 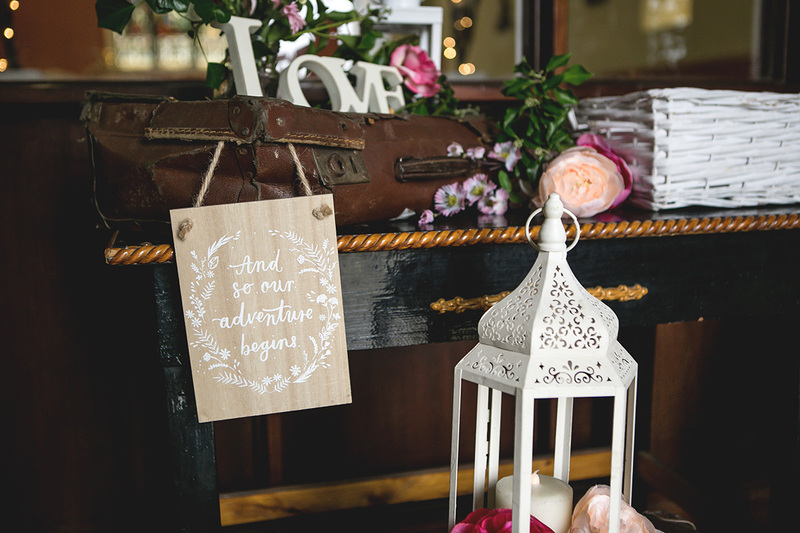 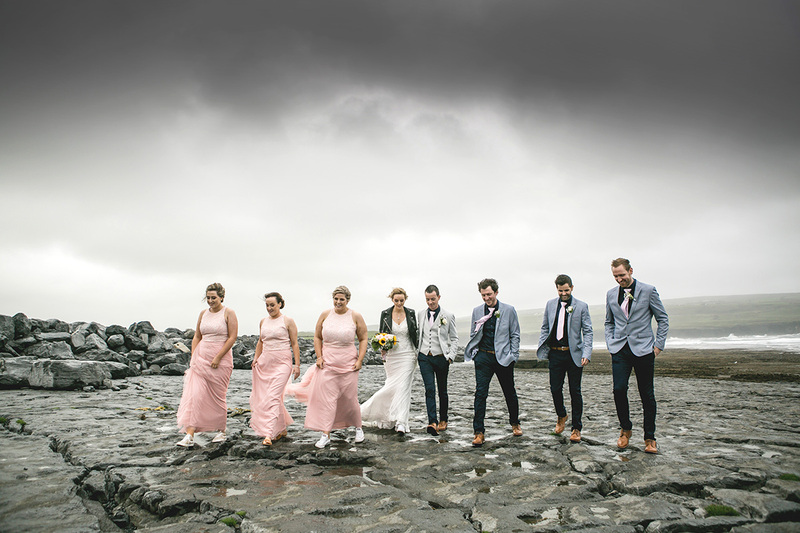 Ireland being what it is with all seasons possible in one day stayed true to form and it didn’t matter that it was a mid – August wedding, the rain was falling and the wind was blowing but that didn’t matter one bit to anyone involved in this lovely day. 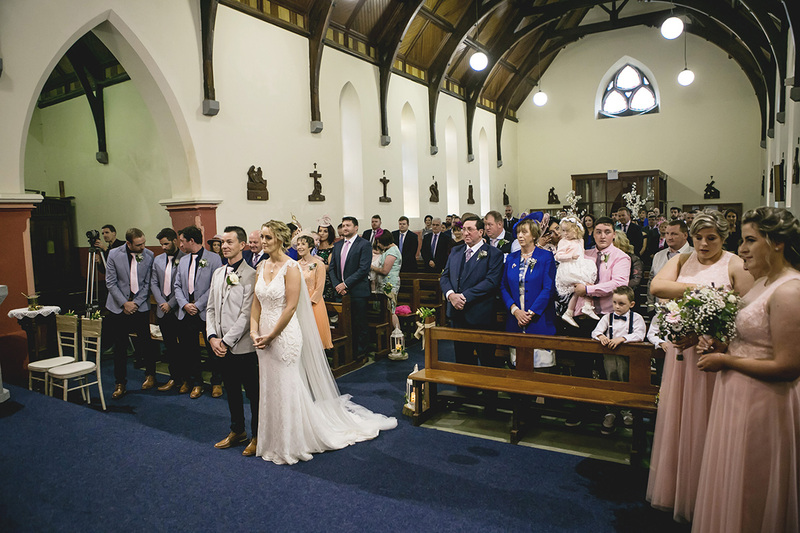 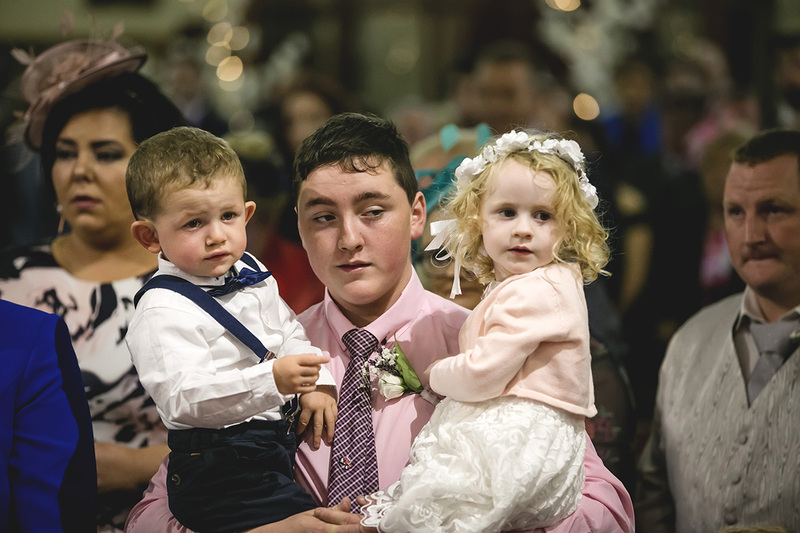 Family and friends packed out Doolin Church for a very intimate ceremony and Hotel Doolin was host to the party afterwards. 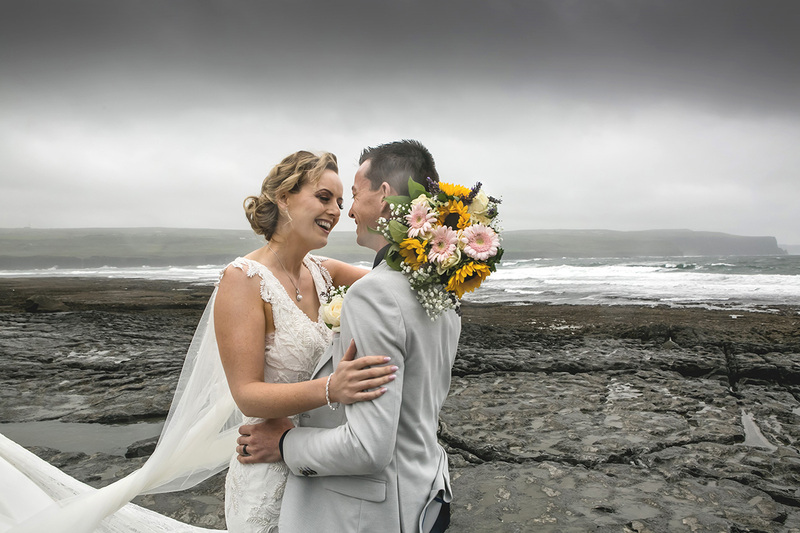 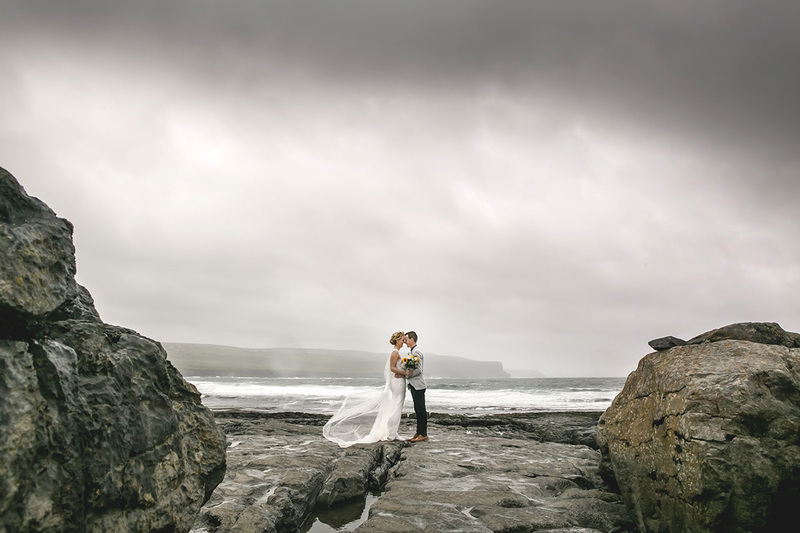 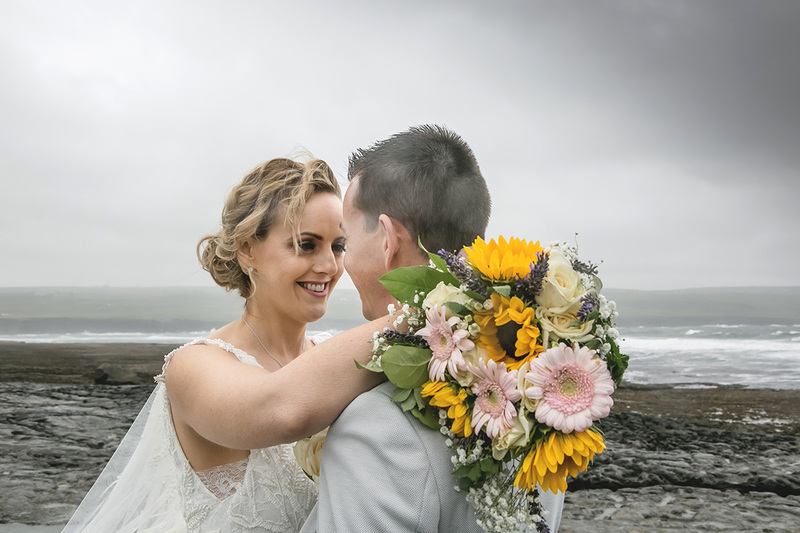 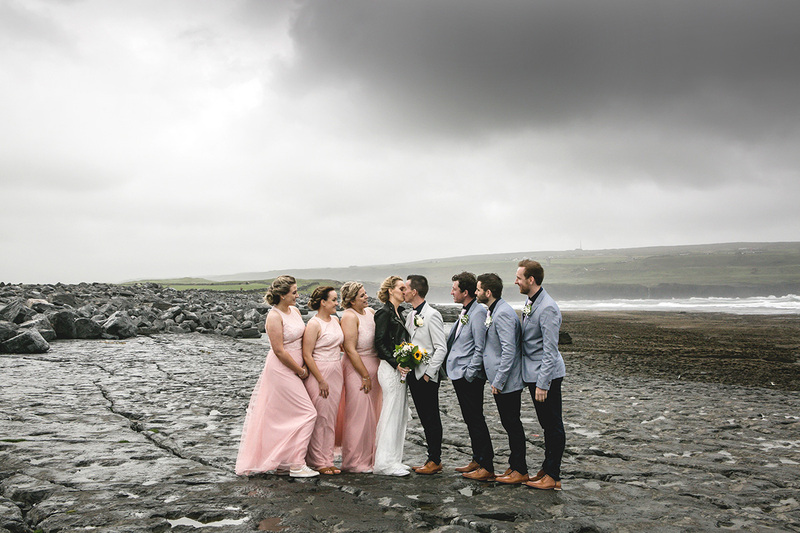 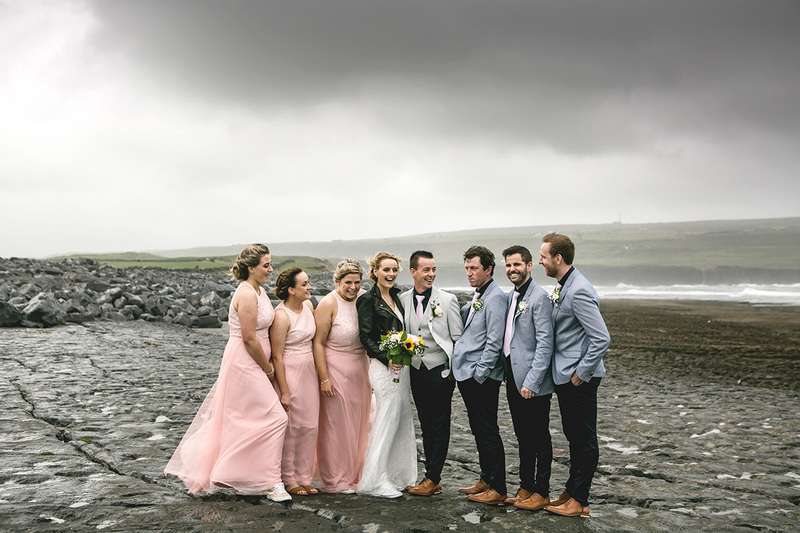 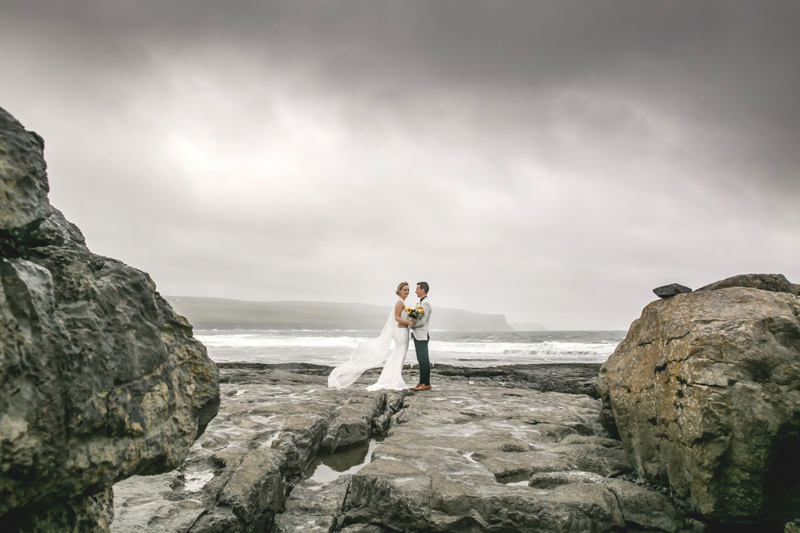 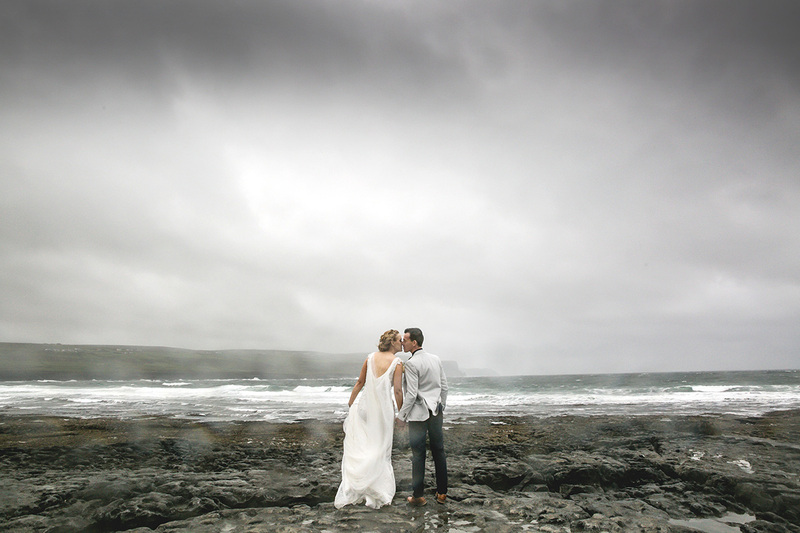 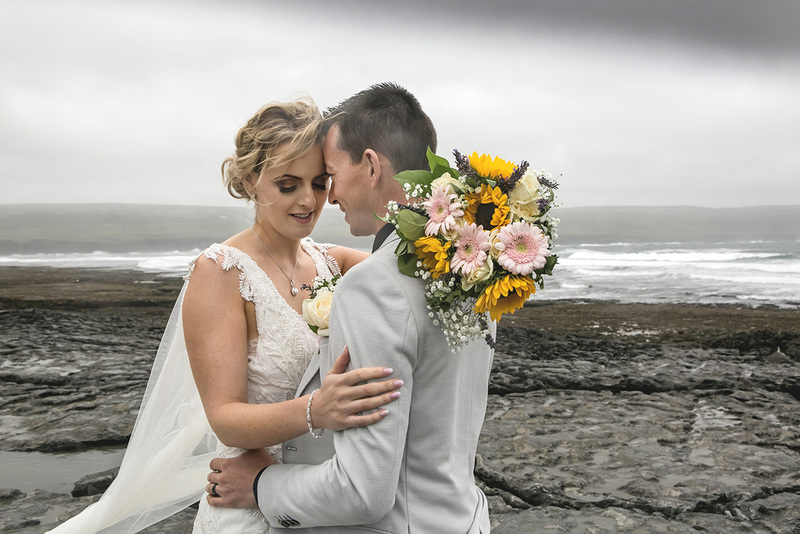 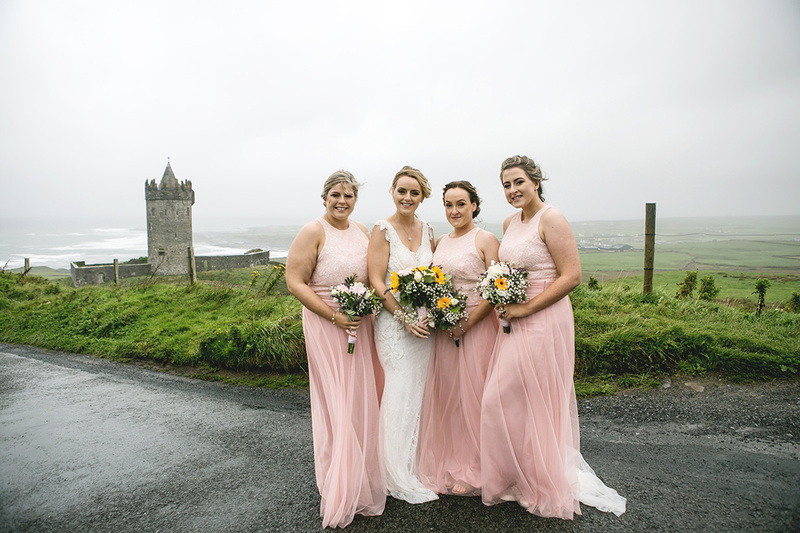 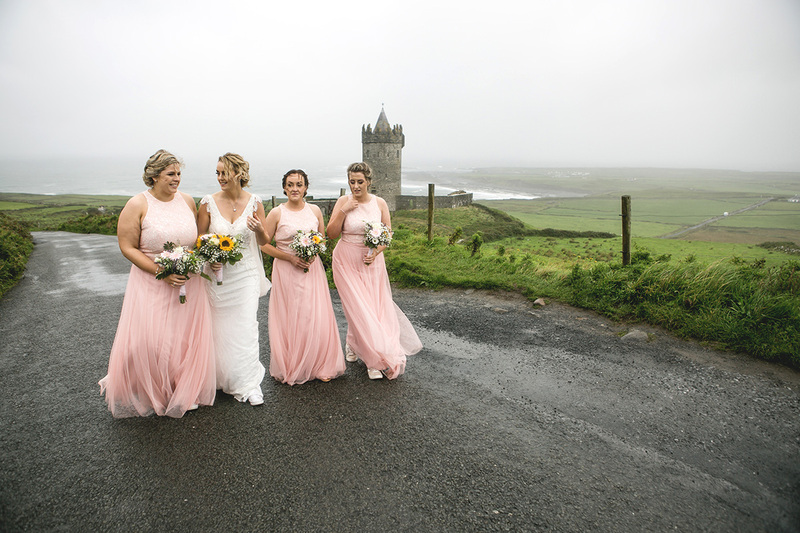 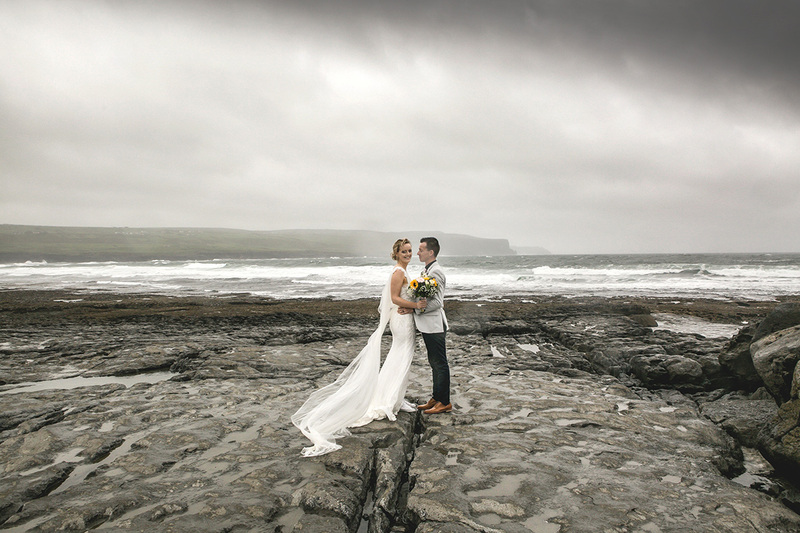 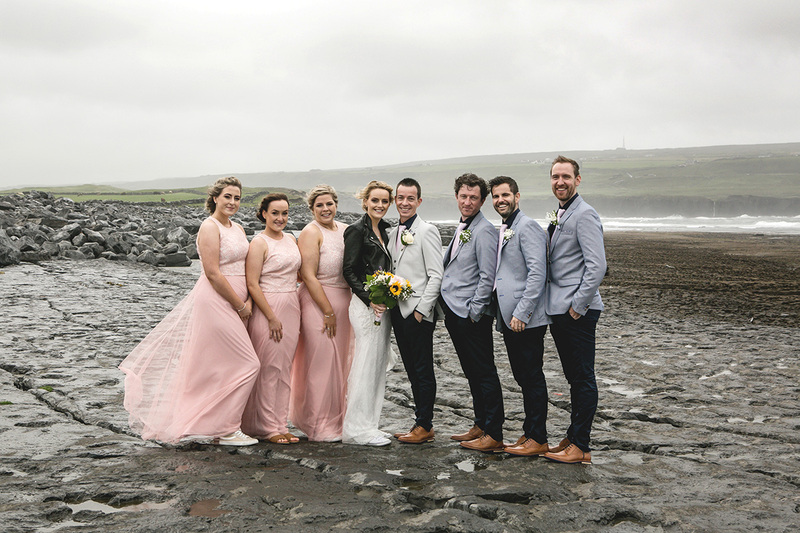 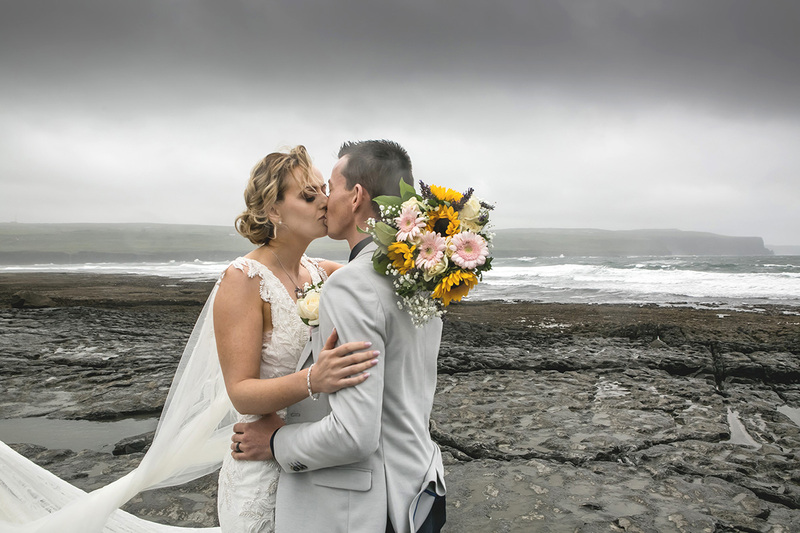 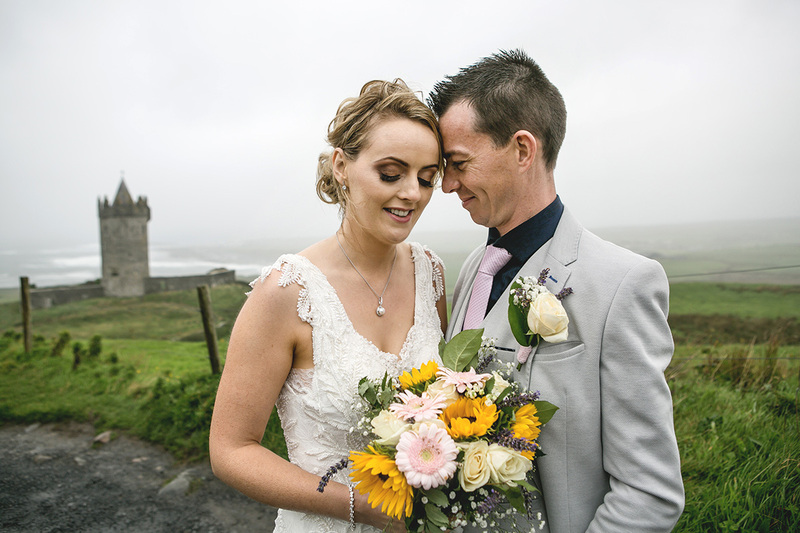 Doolin village and its surrounding area were chosen for the bridal portraits and just take a look at how brave these two and their bridal party were, a little wind and rain were not going to stop them getting their photographs!!! 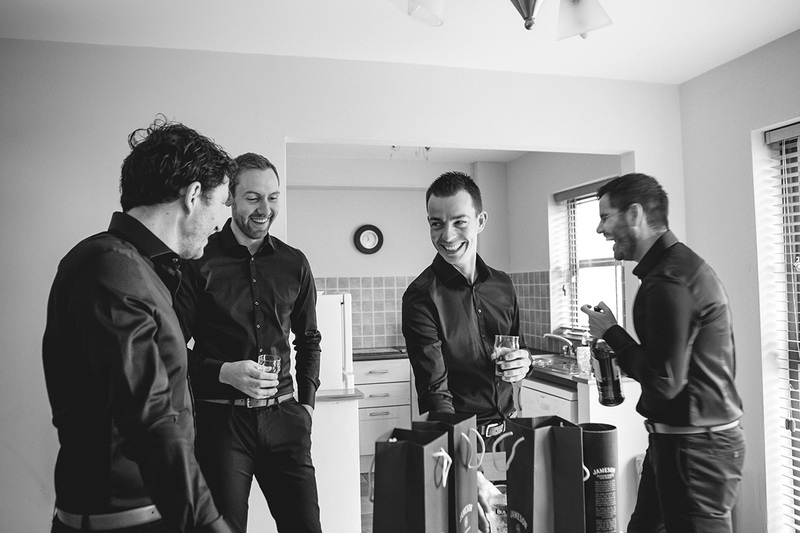 Thanks to Dreamcatcher Productions, it’s always a pleasure boys!!! 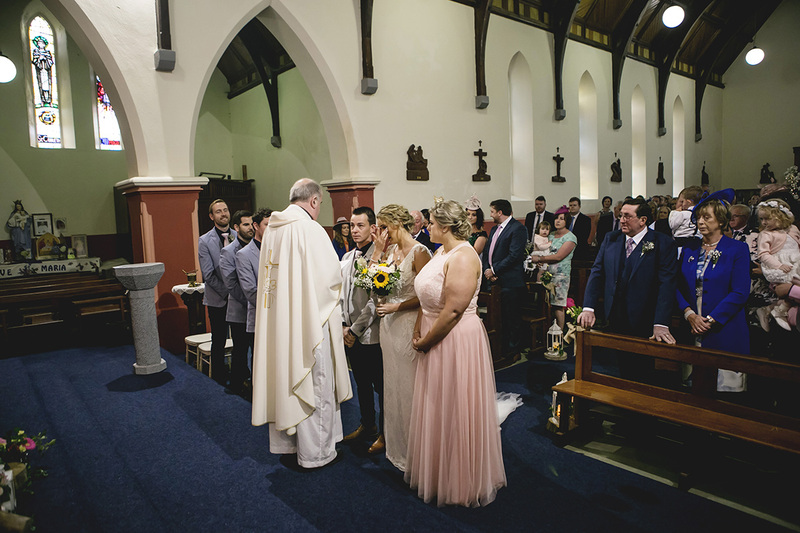 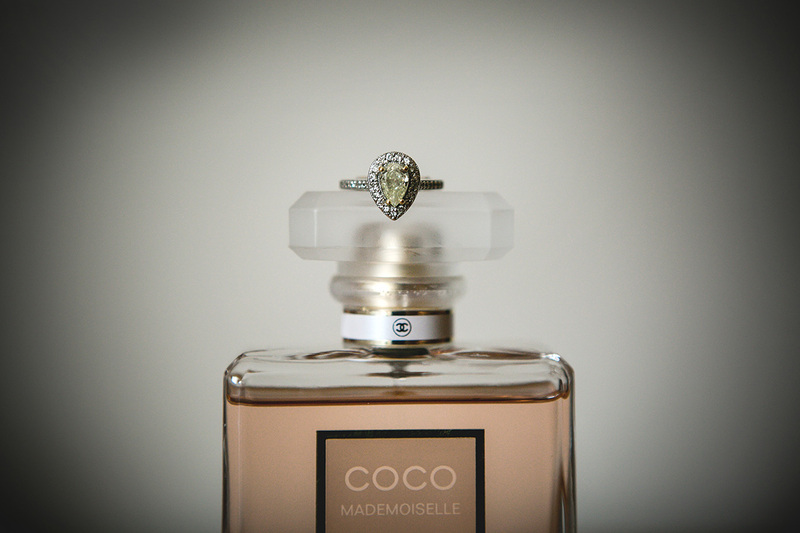 Geraldine and Brian, thank you so much for having me along.